*** Opening Reception Thursday March 7 from 5 to 7:30 p.m. Featuring work by 18 AGS Member Artists. The gallery is displaying an eclectic mix of art from various times and places, in many media. 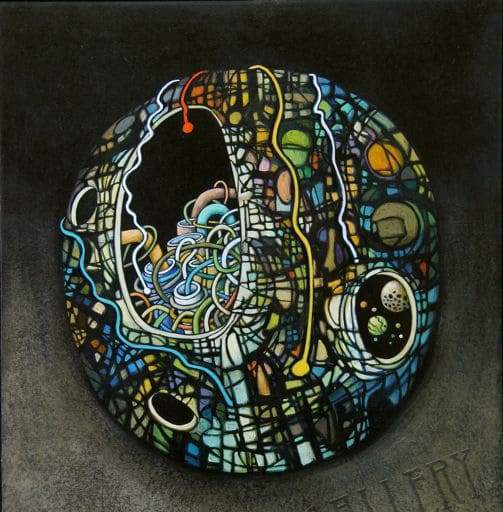 Included are works by Paul Beattie, Hans Burkhardt, Rafael Canogar, Easton, Claire Falkenstein, Karen Green, Sutter Marin, Mary Fuller McChesney, Robert Pearson McChesney, Louis Earnest Nadalini, Louis Siegriest, the late great James Spitzer, Seymour Tubis, Elisabeth Vellacott, Zao Wou-Ki, and many others. 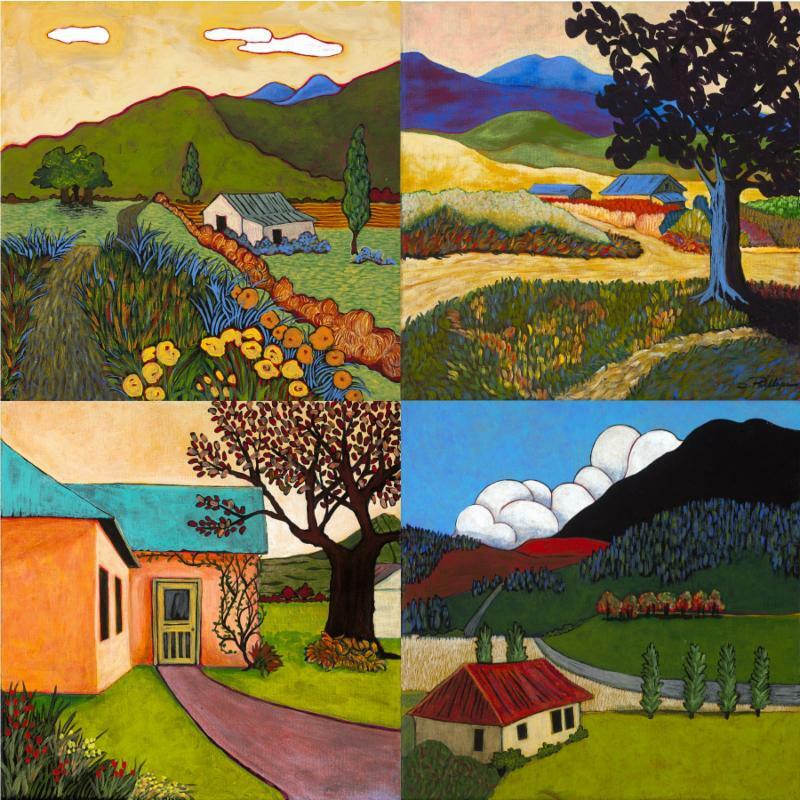 The previous display of paintings by Carolyn Lord, Lucy Martin, and Carol Peek continues. 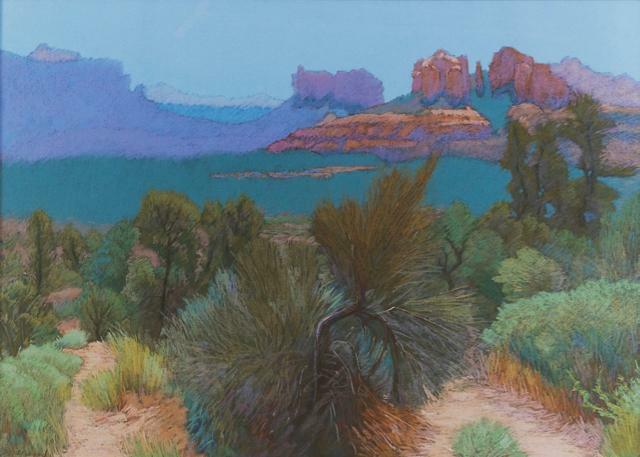 *** Meet the Artists Reception, March 1, from 5 to 8 p.m. 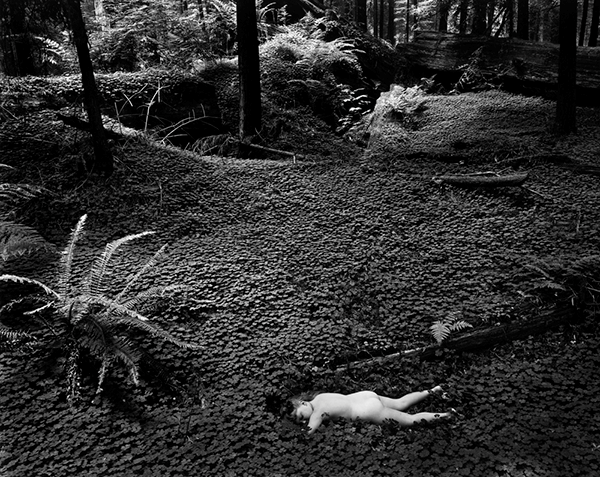 The paintings, photography, sculpture and natural objects by Sonoma County and Bay Area artists are personal statements on the environment. The artwork is their visual commentary of how nature is being challenged by humanity, and how to protect and heal our common home. 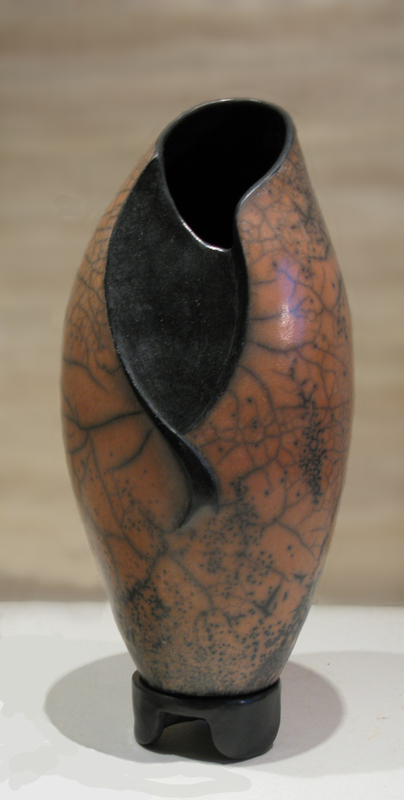 Guest artists for this exhibit are sculptor Luann Udell, and painter Timothy David Dixon. 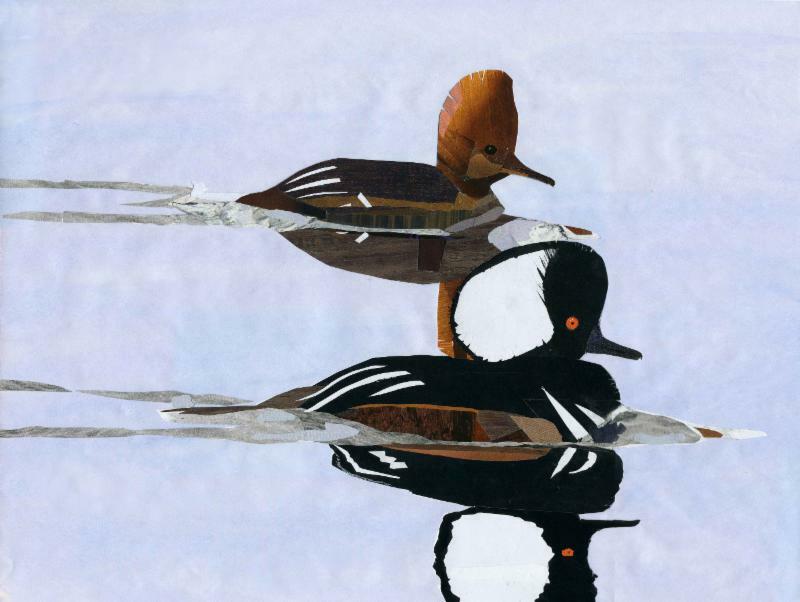 Featured resident artist is Ralph Broussard, showing digital collages. 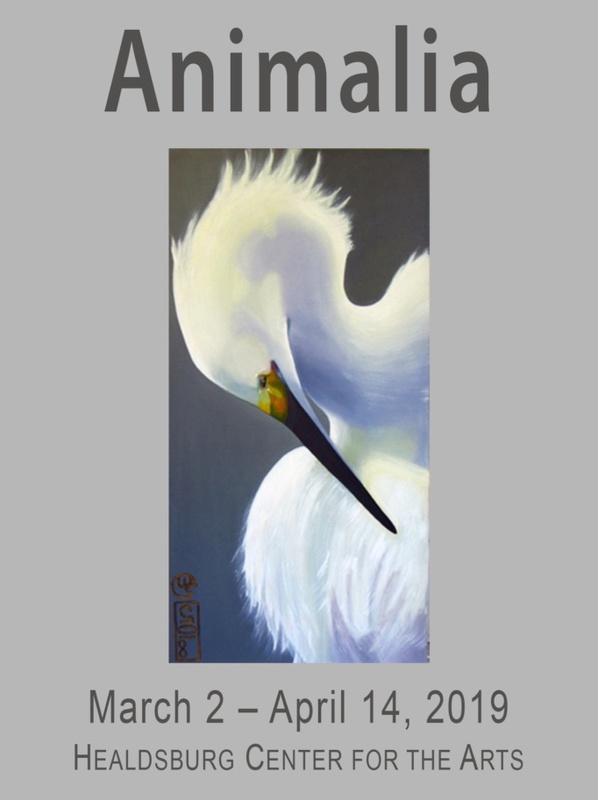 *** First Friday opening reception, March 1, from 5 to 7 p.m. 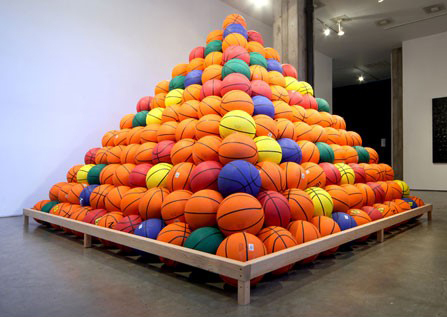 The work of Tim Haworth and Donna Schaffer. Jennifer Hirschfield, Alejandro Salazar, Terry Sauvé, Lisa Thorpe, and Ron Macken. 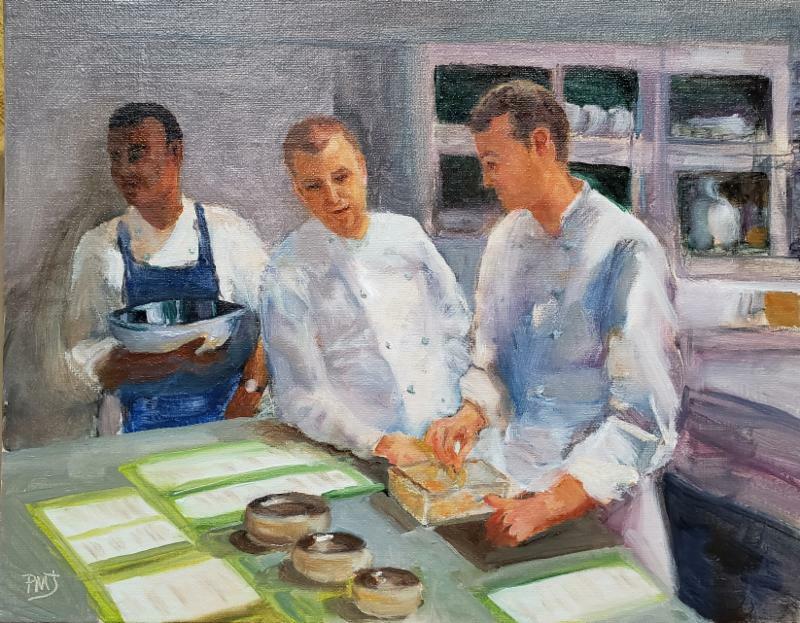 Each of the eight partners at the Gallery has invited an artist friend to show work alongside their own. 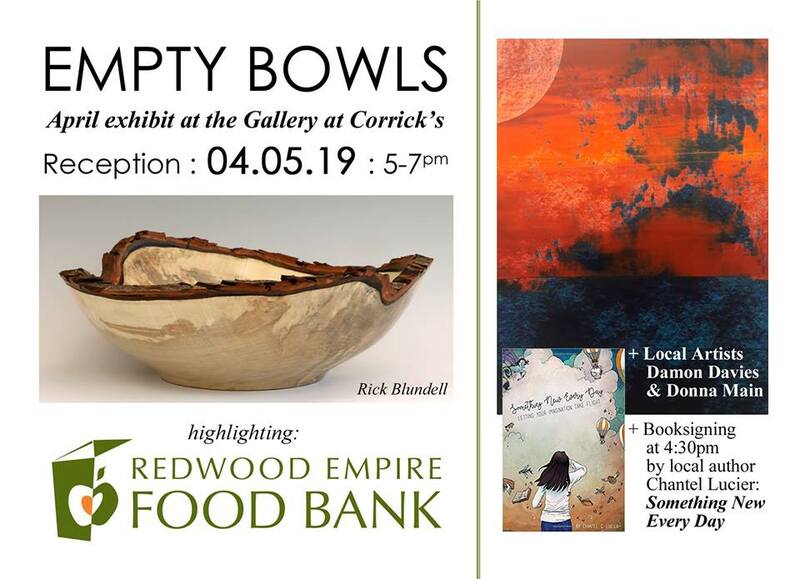 Featured Guests Artists are Kelly Burke, Ceylan Crow, and Sky Richardson. 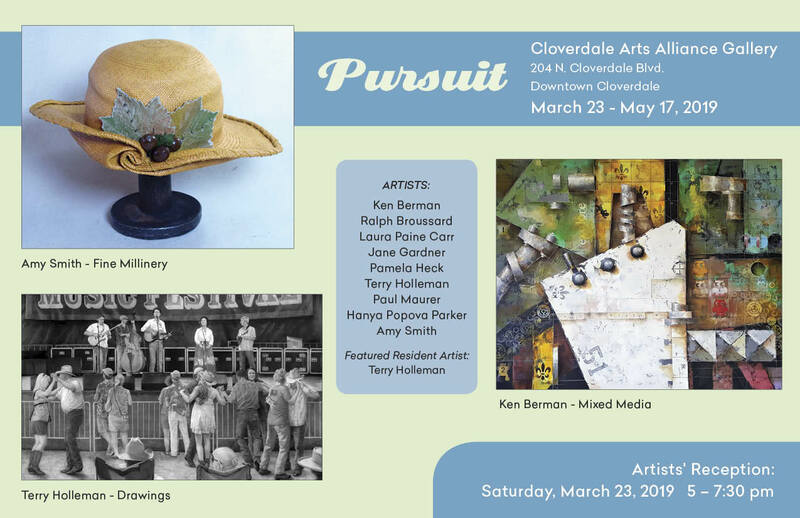 *** Reception for the artists Saturday, March 23 from 2 to 5 p.m.
*** Opening Reception Saturday, March 2, from 5 to 7 p.m. The word “Animalia” evokes images of all animals; birds, bugs, reptiles, furry friends and pets, fish and fowl. It brings to mind all the wild and wonderful ways that “Animalia” have been an integral and essential part our human experience. 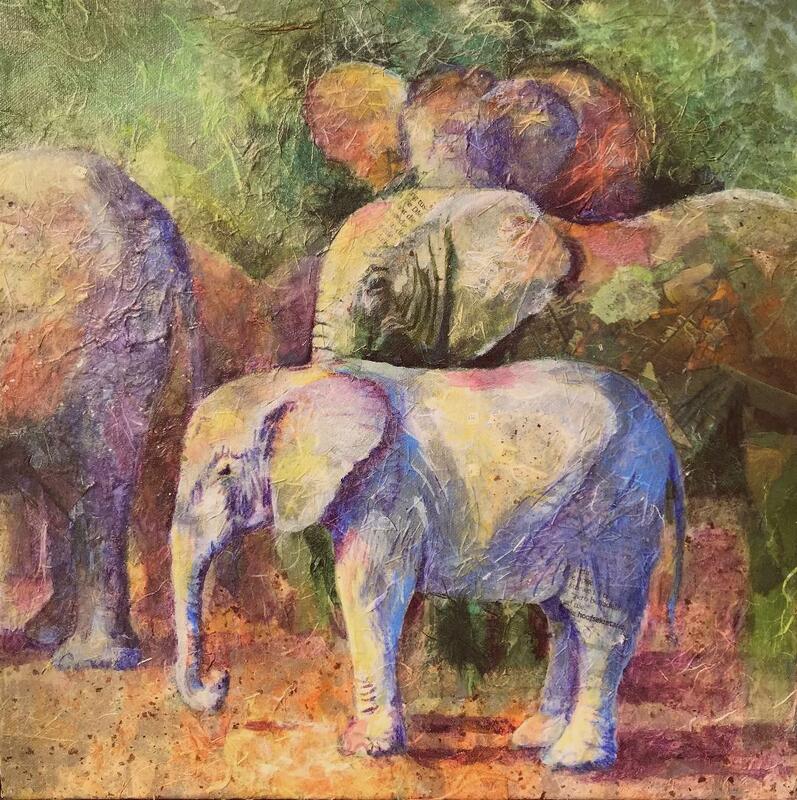 Closing tea, April 14, 2 to 4 p.m., an opportunity for public and artists alike to discuss animals and art techniques. 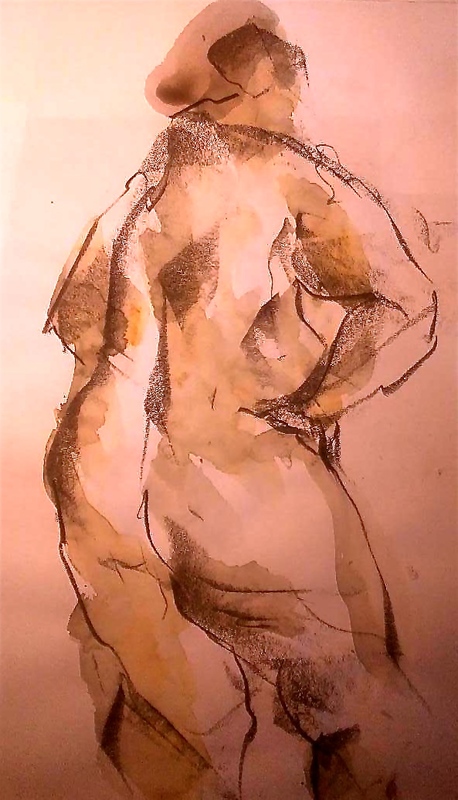 *** Artists’ reception Saturday, March 2, from 3 to 6 p.m.
An exhibition of figure drawings from the Thursday Night Drawing group founded by the late and legendary, Bill Wheeler. 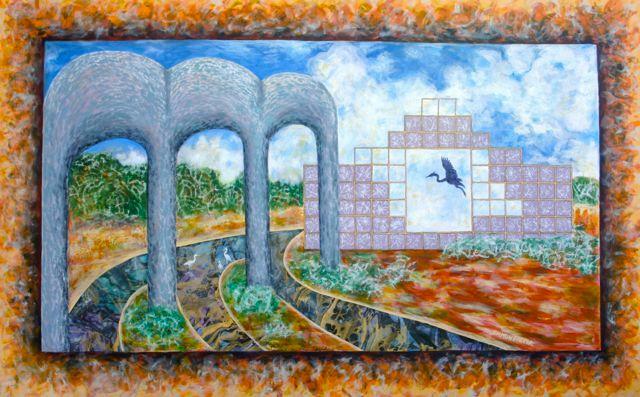 *** Opening Reception Saturday March 23, from 3 to 6 p.m.
Wilder Mayo Bentley II passed away on October 11, 2018. 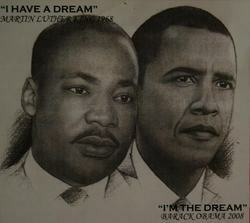 A true renaissance man, he was talented in multiple art forms. 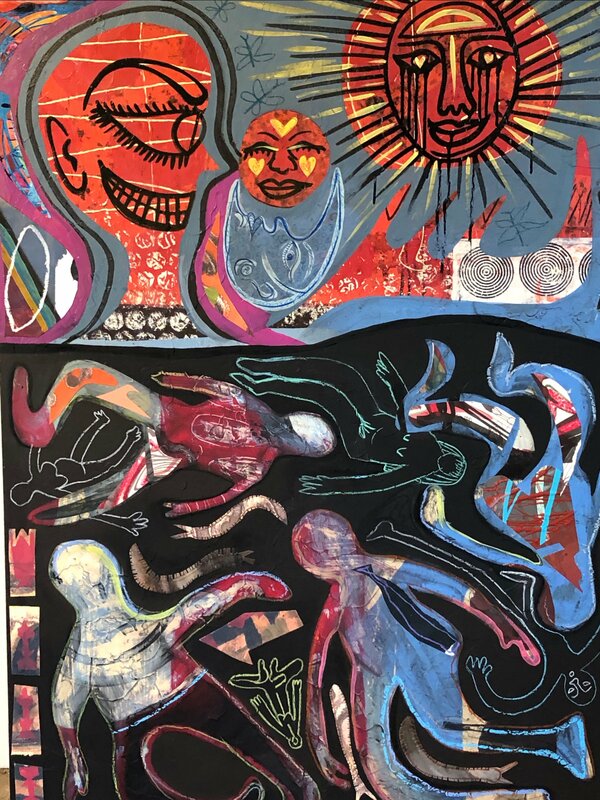 This exhibition will feature a variety of his paintings, printmaking, poetry, stained glass, handmade books, calligraphy and brass inlaid jewelry. 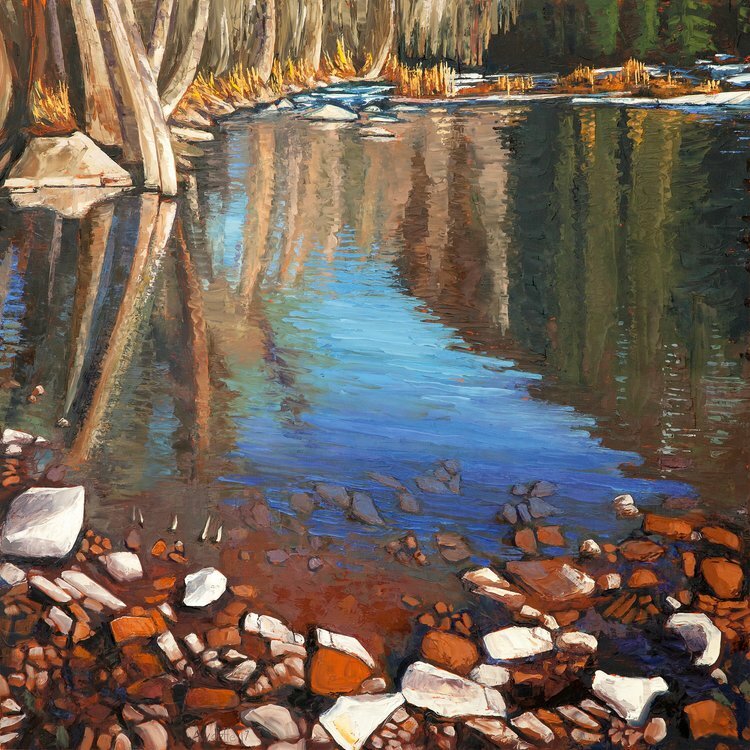 In the National Parks Painting Project by Mary Fassbinder and Guest Artist Davis Perkins there are 60 plein air paintings of each of the U. S. National Parks. 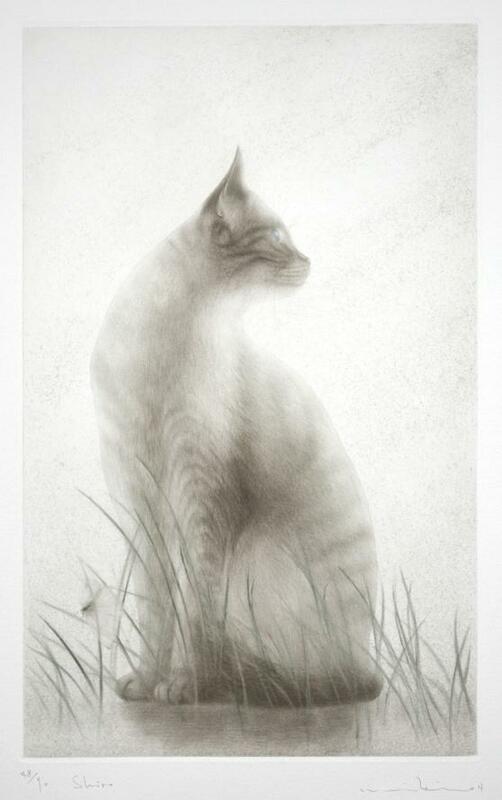 Mezzotints by Mikio Watanabe. Housed in a refurbished building with shoji and a small, serene Japanese garden, the gallery shows contemporary art by Japanese and regional Northern California artists. *** Opening reception Saturday, March 9, from 5 to 8 p.m., with a poetry reading and a gallery talk by the artists. In the Main Gallery, International juried Landscape exhibition. 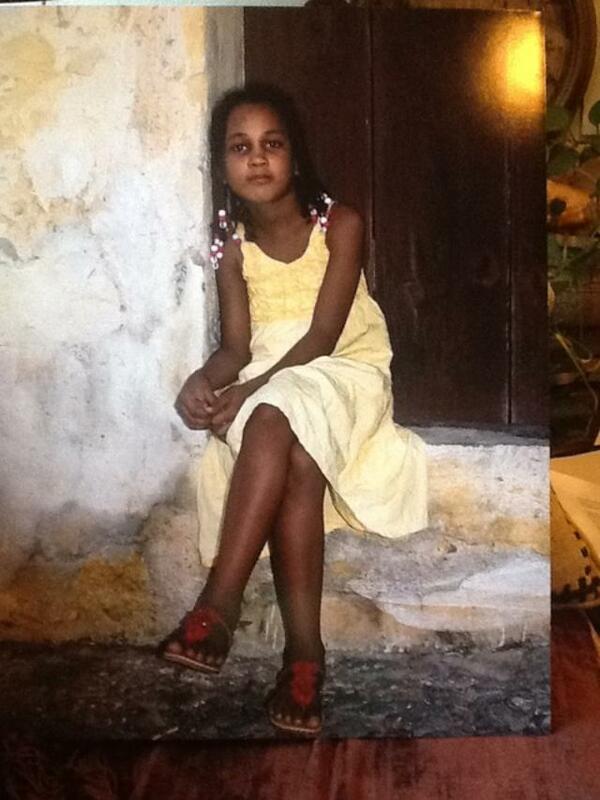 Juror: Robin Dintiman. Artwork reflecting scenery from cityscapes to nature views and more personal and imaginary visions including futuristic, environmental and psychological. 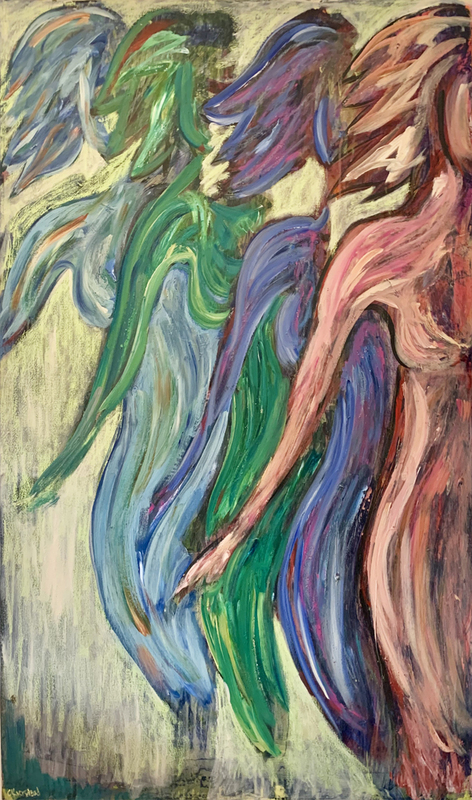 The figurative oil paintings of Valerie L. Winslow contain narrative overtones of personal anecdote and social commentary, including themes reflecting the current climate of the #Me Too movement. 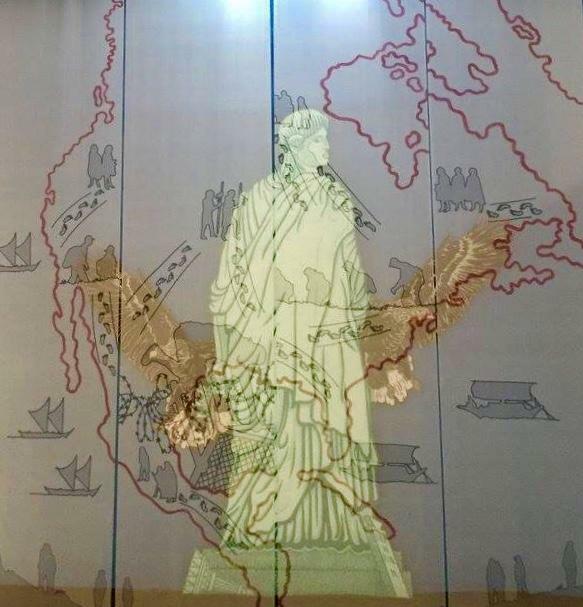 Laurence Elias exhibits imagery produced by digital printing, painting, and laser etching on laser cut mirrored acrylic sheets. Starting points include explorations of light, reflectivity, transparency, repetition, and geometric patterns and forms. Using artist-designed fixtures for off the wall attachment at unusual heights and angles, they present uncanny illusions of solid objects, as well as colorful abstract imagery. Featuring the work of Michelle Hoting, who creates jewelry using repurposed metals. In her latest work, Michelle explores and recreates the ancient mixed-metal technique of makume gane. 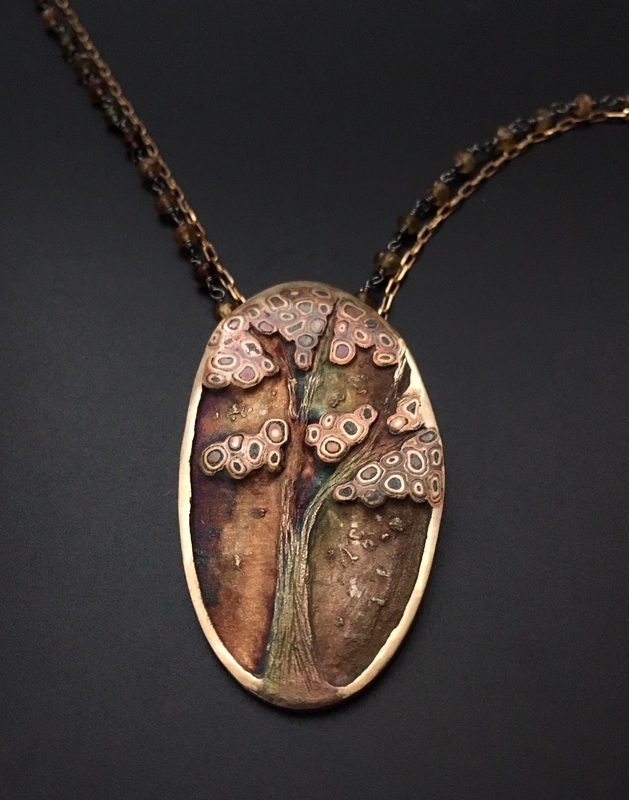 Layering, folding, and forming steel, copper and bronze to create a wood-grain-like pattern, she reimagines the metals into wearable sea creatures, landscapes, and touchstones. 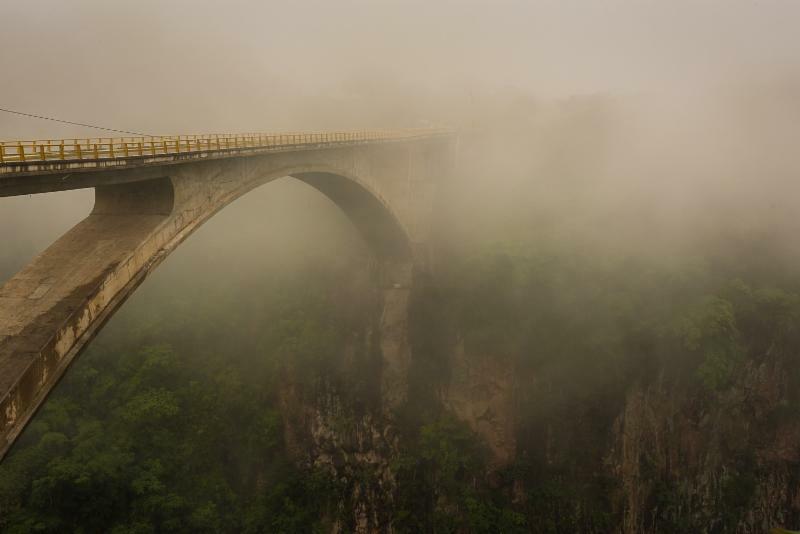 Also on view is photography by guest artist Bill Theis. Bertha Jean Schmidt exhibits documentary photos depicting her native culture of the Cabo Verdean people on the islands of Brava, Fogo and San Vicente. Work by 40 SSU Art Department alumni. *** Reception Thursday, March 28, from 4 to 6 p.m.
Light | Space | Clay: Portals to Creative Explorations showcases work by Sonoma’s fourth and fifth grade students, exploring concepts of form, space, color, and change inspired by SVMA’s current exhibitions. Free Family A.R.T.S. Day – Saturday, April 7. 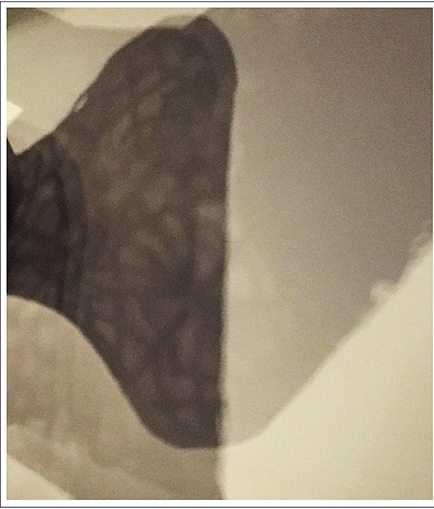 *** Opening reception, Monday, March 11, from 5 to 7 p.m.
Selections from the Museum Shadows Series, abstract photographs by artist Colin Talcroft, an ongoing series of shadow photographs begun in 2012 captured in museums and galleries around the San Francisco Bay Area and Europe. 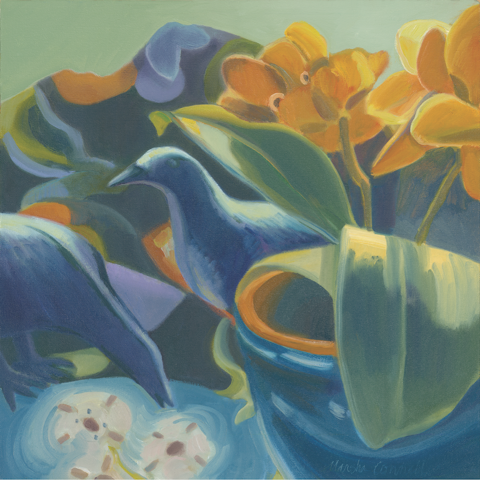 *** Artist Reception Sunday, March 10, from 2 to 5 p.m. Poetry reading with Marsha Connell and Reba Connell, 2:30 to 3 p.m. 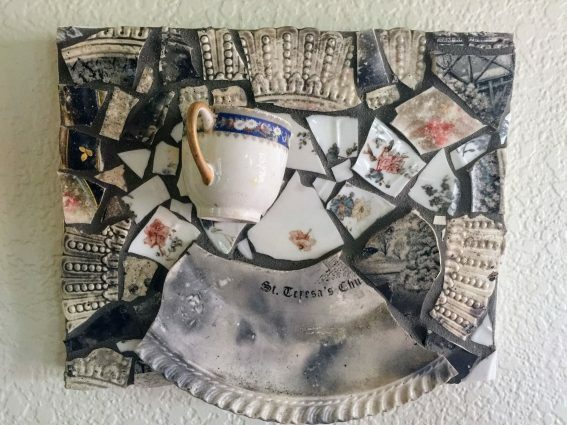 Artwork by Marsha Connell that articulates an artistic evolution initiated in collage and leading to the “Murder of Crows” series of still-life oil paintings. 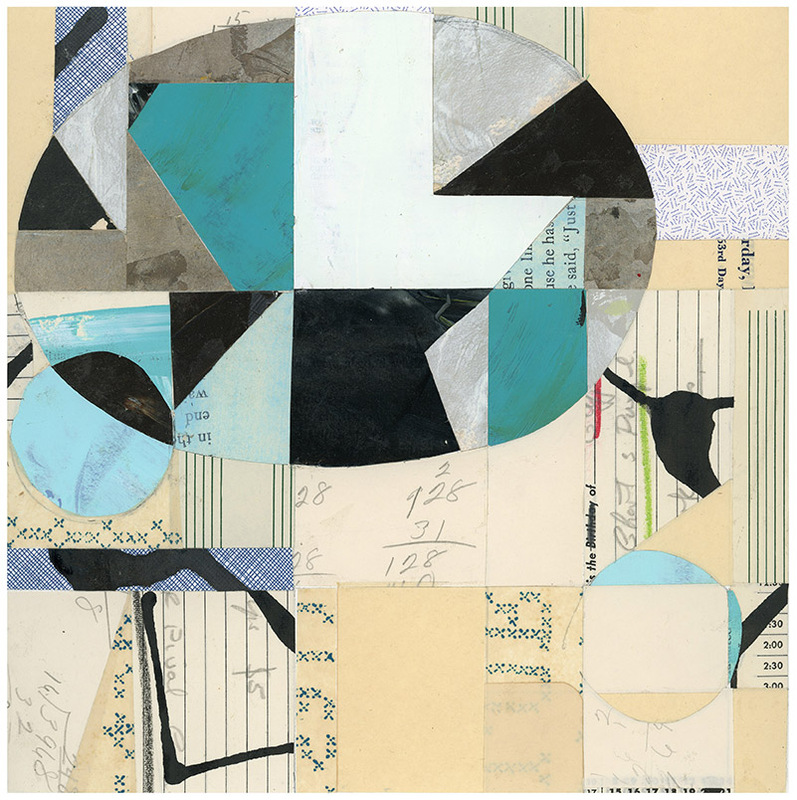 The arranging and rearranging of found images in collage-making laid the groundwork for assembling and staging objects in the Crow series. 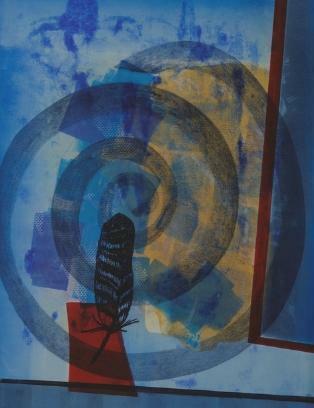 Spirit Birds and wings play a supporting role in the collages, while birds star in the still-life series. Come for an afternoon of Art Live Performance, Paintings, and Video Sculptures with residency artists, Lea Walloschke (Berlin), Roberts & Ghirardo (New York), and Jules Jones (Massachusetts). Charles M. Schulz had a lifetime affinity for dogs: beginning with his boyhood dog Spike, who inspired his first cartoon, to creating the world’s most famous beagle Snoopy, who inspired thousands more. 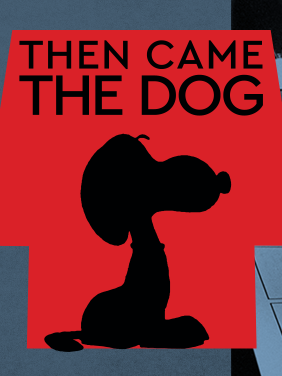 Discover the life of a man and his best friend through the lens of the Peanuts comic strip. From “Good grief!” to “AAUGH!”, Charles M. Schulz developed a lexicon that has become synonymous with the Peanuts comic strip. Yet the cartoonist’s approach to communication went well beyond words. The new exhibition explores Schulz’s pantomime comics and the artful techniques Schulz employed when telling stories using illustration alone. *** Opening Reception Friday February 1 from 5 to 8 p.m.
*** First Friday opening reception, February 1, from 5 to 7 p.m. This show features two dozen artists from Art Trails reflecting on the hues and feelings of love and new life of the coming months. Valentine Card Making Event with Carole Watanabe. Saturday February 9, from 11:30 a.m. to 1 p.m. Free. Make your own hand-made Valentine cards. All levels welcome, Carole will provide free materials and creative guidance. Jurors: Pamela Powell and Lisa Andrews. 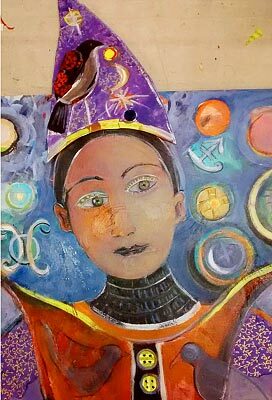 *** Artists Reception Saturday February 16, from 2 to 5 p.m.
*** Opening reception Friday, February 1, from 4 to 7 p.m. Annual young artists show featuring artwork by K through 6th grade students from numerous area schools. *** Opening Reception Saturday, February 9, from 4 to 6 p.m.
*** Opening Reception Friday, March 1. 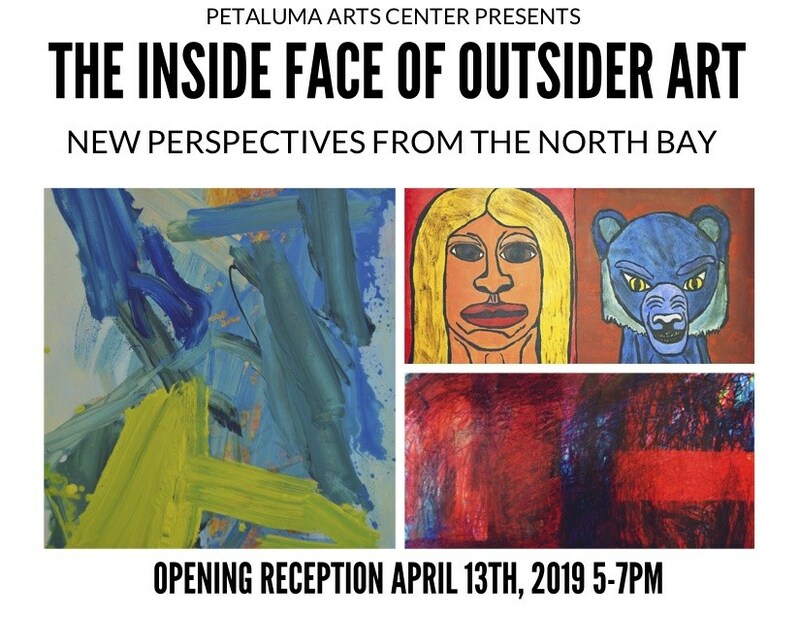 *** Opening Reception February 2, from 3 to 6 p.m.
OCA Gallery is pleased to celebrate Black History Month featuring a juried exhibition of original works by Sonoma County artists, as well as the private historical collection of Raynetta James. 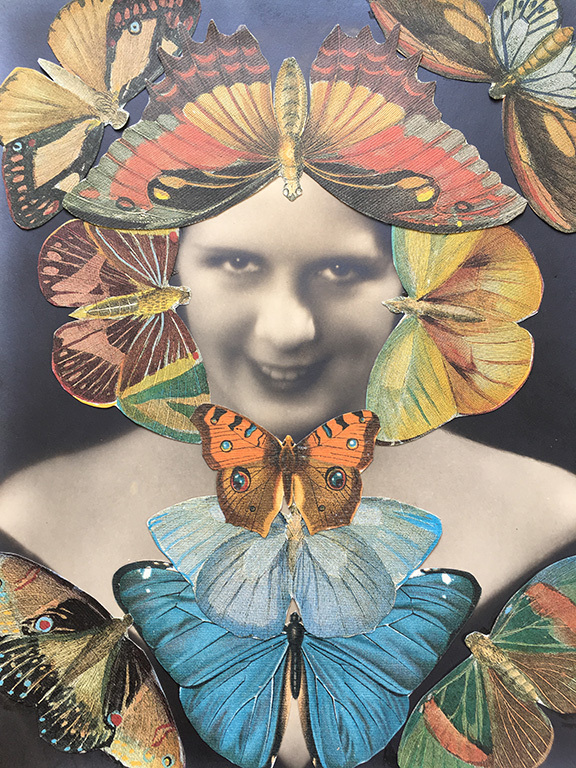 *** Meet the artist reception Saturday, February 2, from 2 to 4 p.m.
*** Reception and Artwalk Saturday, February 9, from 5 to 8 p.m.
Alexis Greenberg, Visual Rhymes, multiple exposure images juxtaposing human figures. 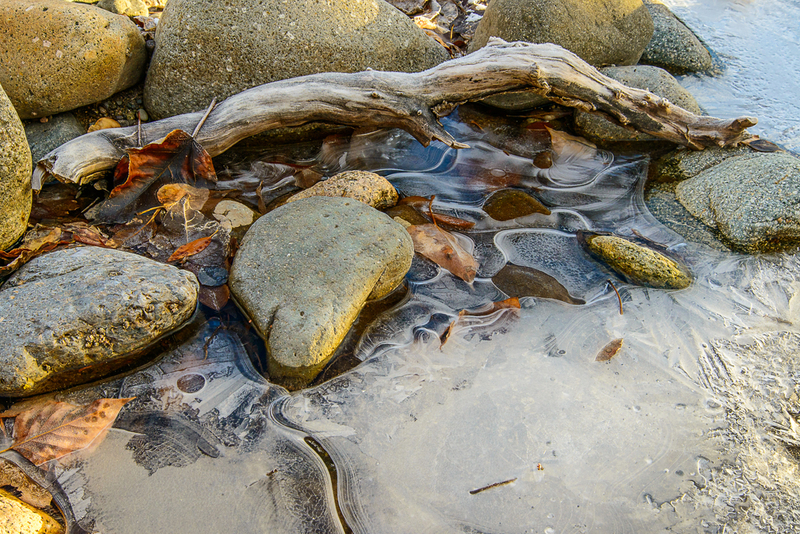 Brian Cluer, Transitions, photographs of ice forming along a river bank. 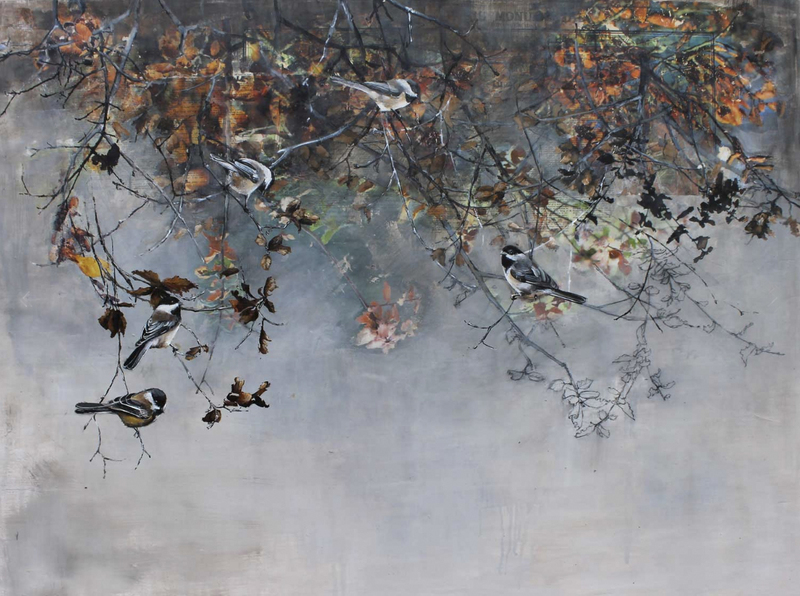 Also on view are paintings by Michele Rosette. 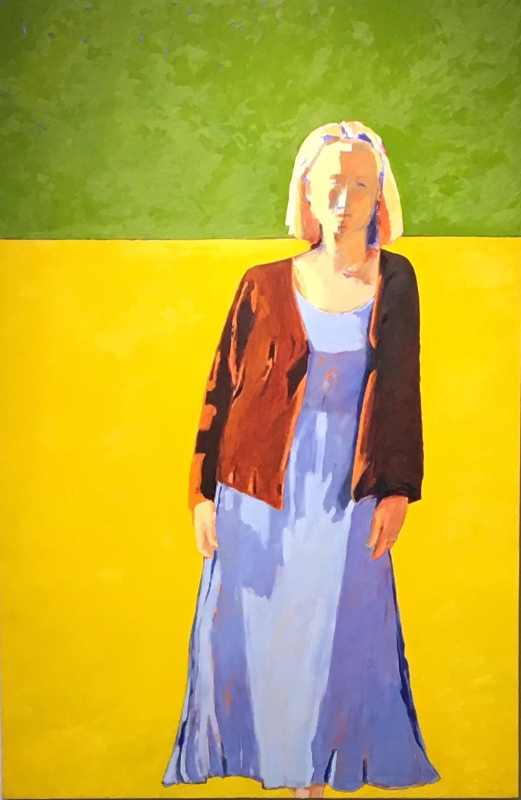 *** Reception Monday, February 11, from 4 to 6 p.m.
Artistis; Holly Downing, ClairE Keith, Deborah Kirklin, Stephanie Peek, Gillian Pederson-Krag, and Robert Poplack. 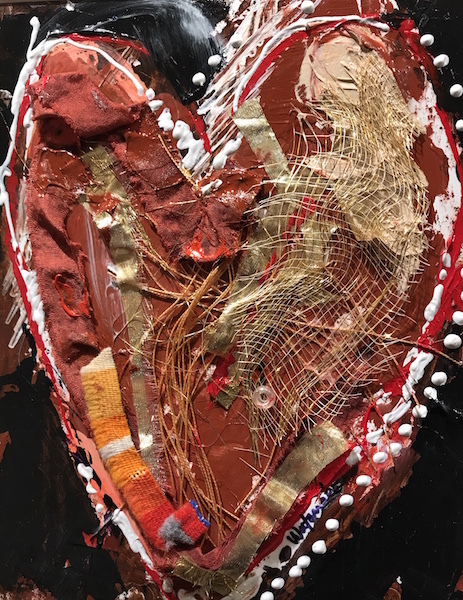 *** Opening Reception Thursday, February 21, from 4 to 6 p.m.
Artist’s Talk with Stephanie Sanchez at 3 p.m.
*** Opening Reception Friday, February 22 from 6 to 7:30 p.m.
*** Reception Saturday, February 9, from 4 to 6 p.m.
*** Reception and artist conversation on Monday, February 25, from 6 to 8 p.m.
*** Saturday, February 2, silent art auction and party from 6 to 9 p.m. 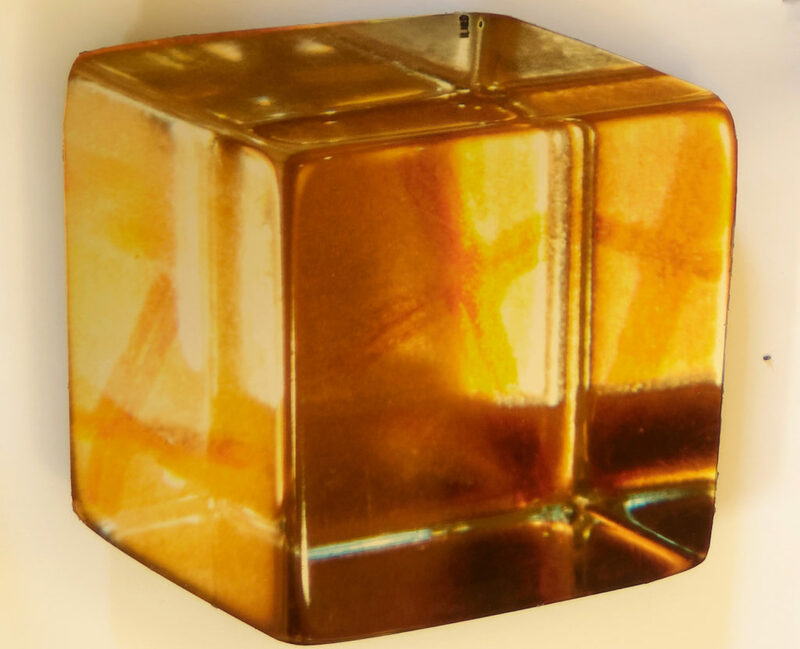 Proceeds from the auction directly benefit the Art Gallery’s exhibition, publication, and lecture programs. There will be free previews of the artwork on Wednesday, January 30; Thursday, January 31; and Friday, February 1, from 11:00 a.m. to 7:00 p.m.
*** Opening reception Thursday, February 14, from 4 to 7 p.m. Featuring the work of 40 artists. 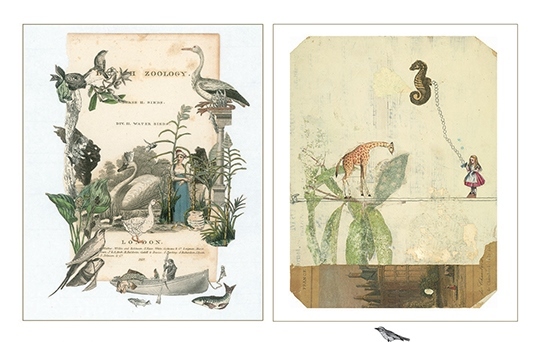 Salomon uses printed papers, type fragments, handwriting, shorthand, diagrams, and pages from ledgers and discarded books as raw material along with hand-painted elements. Her creative process is spontaneous, unspoken, and unconscious. 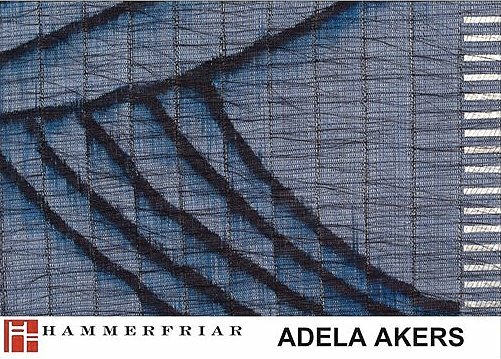 Her influences include architecture, technical drawings, mineralogy, language texts, and alphabets. 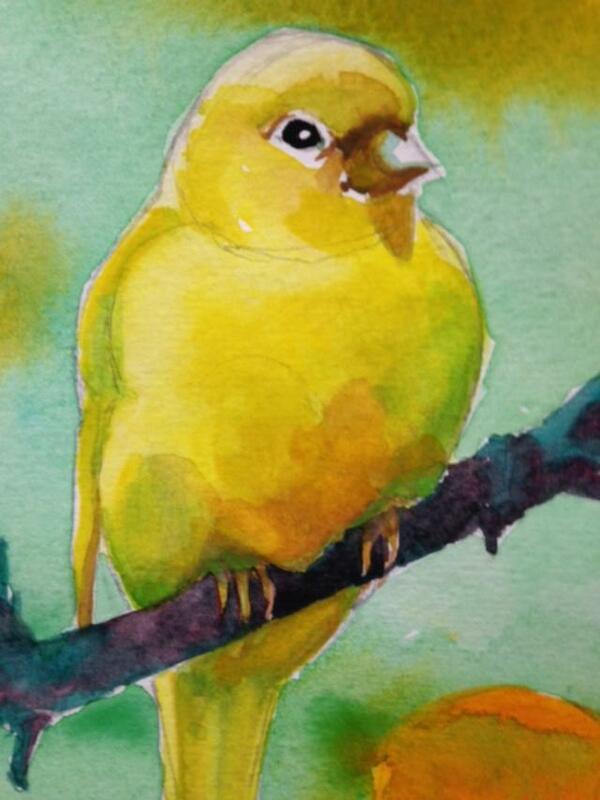 *** Artist Reception, Sunday February 17, from 2 to 5 p.m. 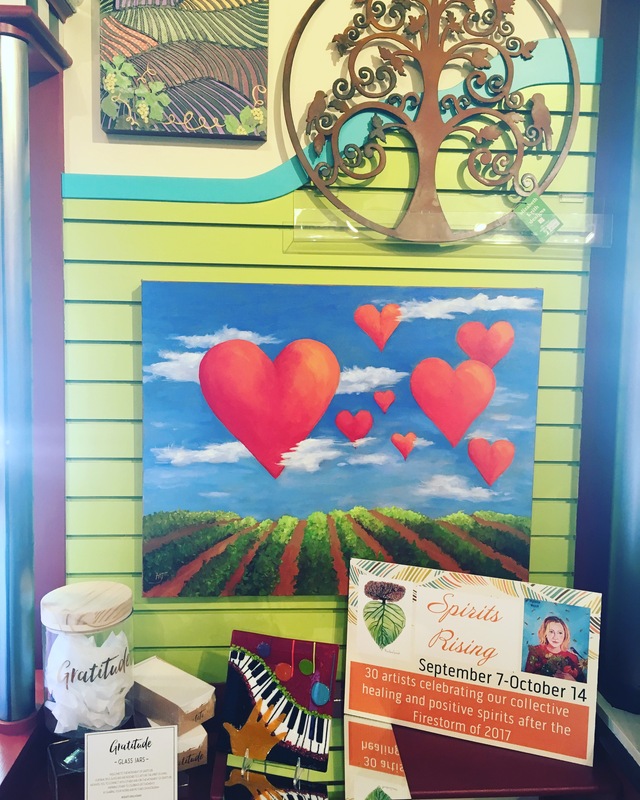 The February Window features heartfelt artworks by Linda Barretta, Donna Schaffer, Carolyn Wilson, Ron Sumner and Cynthia Jackson-Hein. *** Opening Reception Saturday, January 12, from 5 to 7:30 p.m. 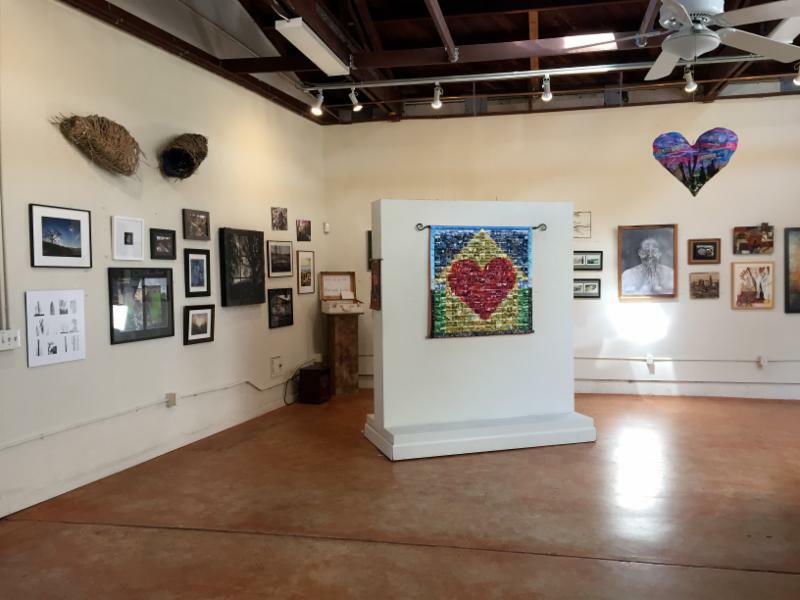 The 2019 Arts Guild of Sonoma Invitational Exhibition. A diverse selection of work by over 30 artists invited by AGS members. 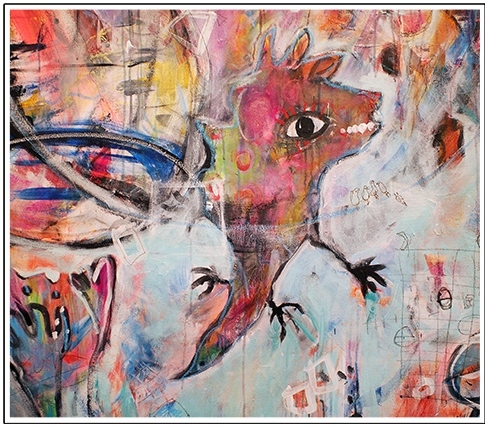 Guest artists for this exhibit are painter Jocelyn Audette and mixed-media artist, Cat Kaufman. Resident artists include Laura Paine Carr, Jane Gardner, Pamela Heck, Terry Holleman, and Paul Maurer. 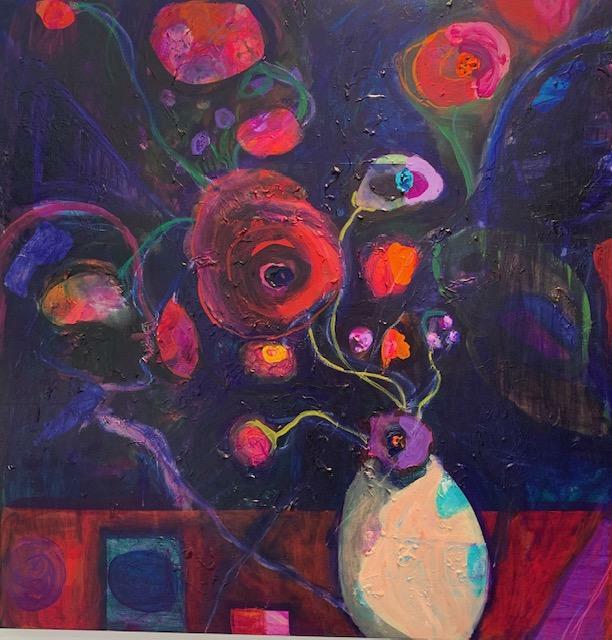 Hanya Popova Parker, painter, is the featured resident artist. 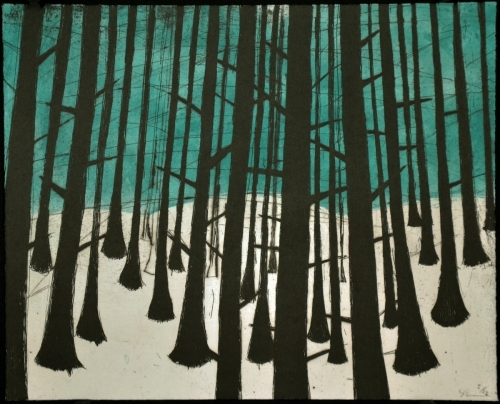 Artists Reception Saturday, January 12, from 2 to 5 p.m.
*** Opening Reception Saturday, January 5, from 5 to 7 p.m. The annual 2019 HCA Members Exhibition. 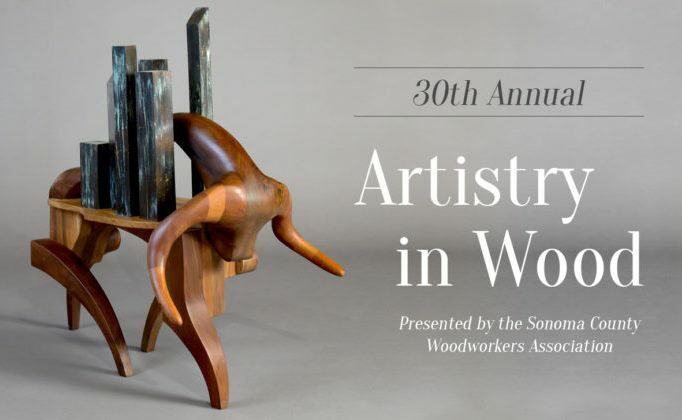 The 30th Annual Artistry in Wood continues the collaboration between Museum of Sonoma County and the Sonoma County Woodworkers Association. 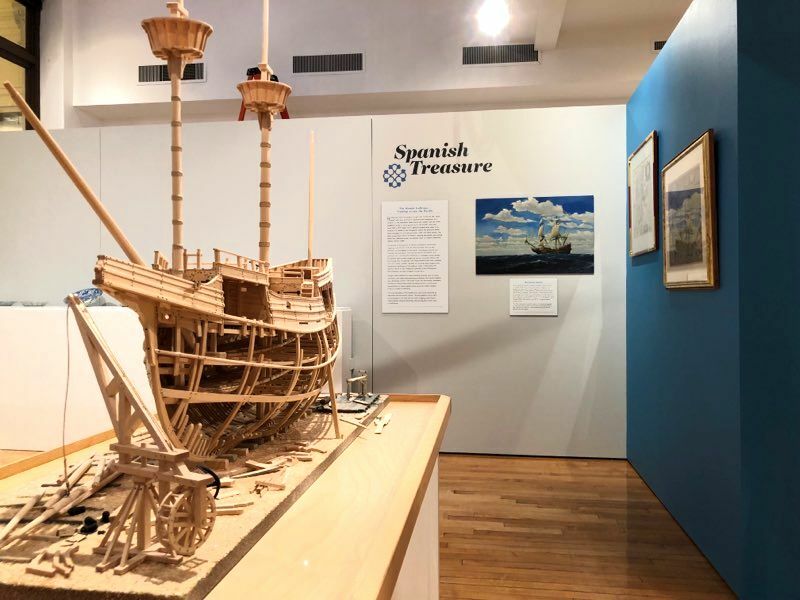 This major showcase of fine regional craftsmanship has evolved from a modest exhibition featuring the work of local woodworkers, into something much greater. 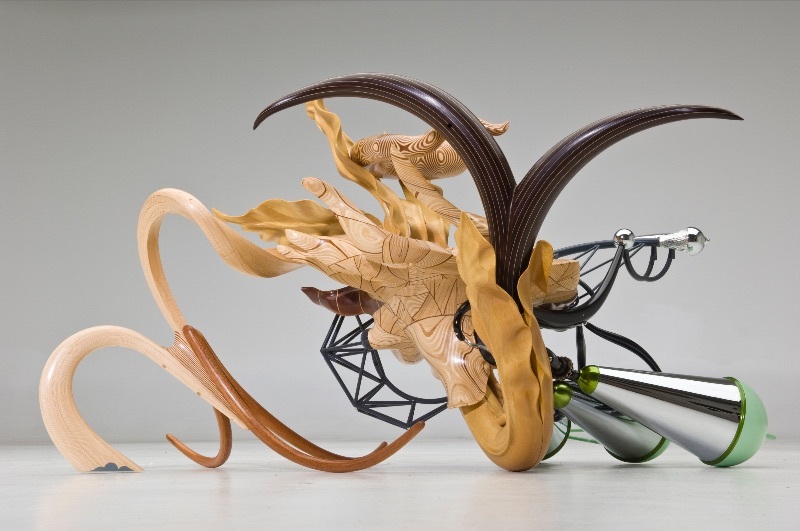 It has become one of the most respected annual exhibitions of woodwork in the state. 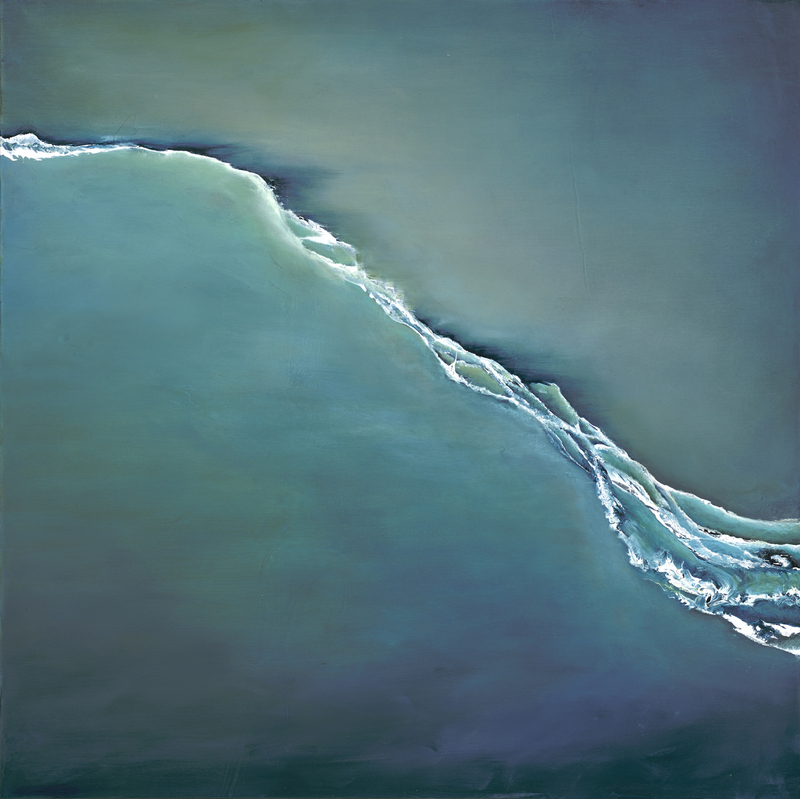 *** Reception and Artwalk Saturday, January 12, from 5 to 8 p.m. 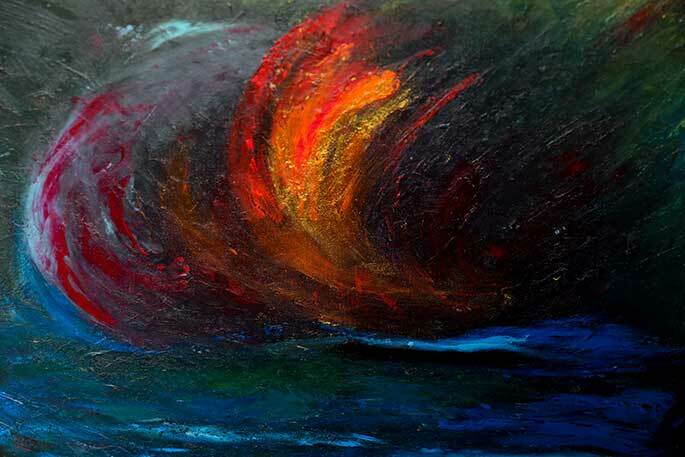 Featured artist is painter, Michele Rosette. 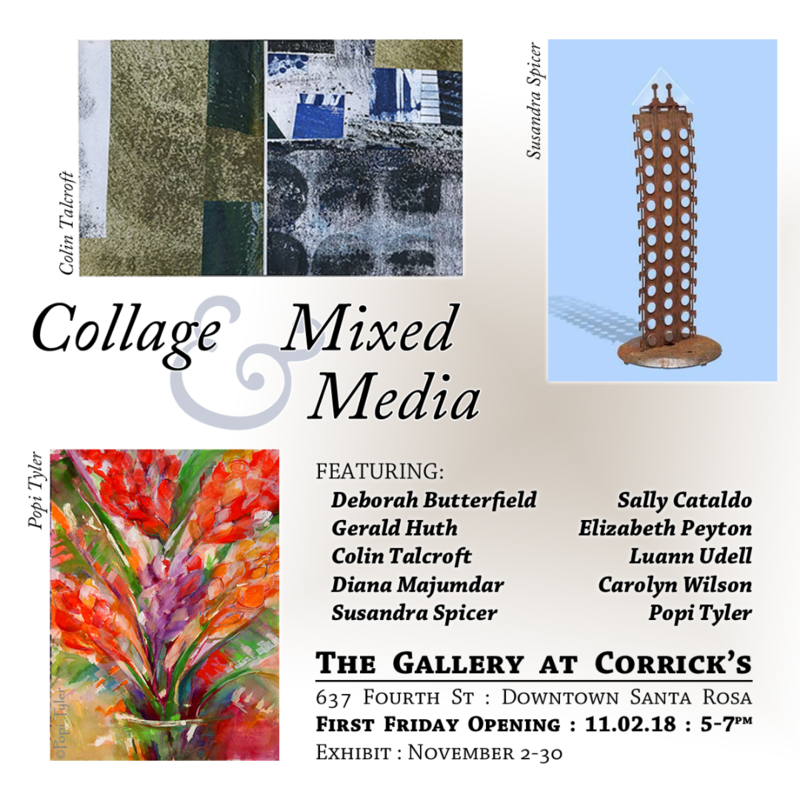 *** Opening Reception Friday, January 11, from 6 to 7:30 p.m.
*** Opening and memorial celebration, Thursday, January 10, from 5:30 to 8 p.m.
*** Opening reception on Saturday, January 19, from 6 to 8 pm. The reception is free to members / $10 for the general public. 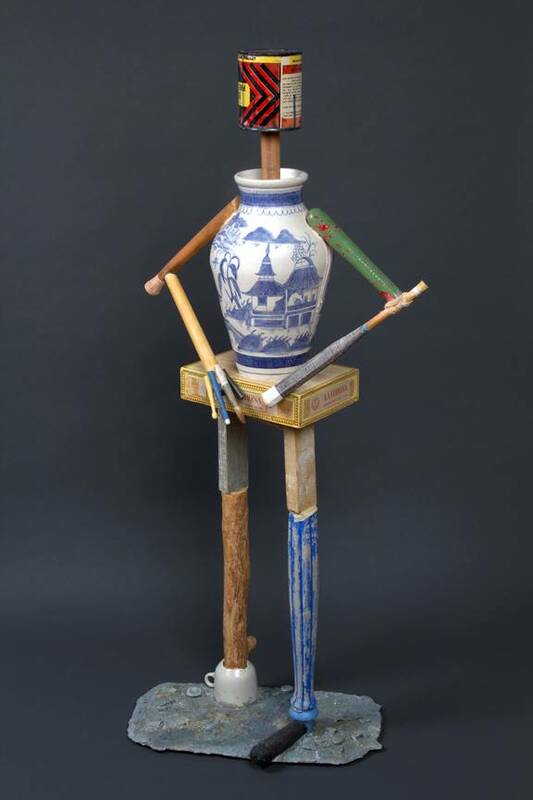 Richard Shaw and Wanxin Zhang brings the recent work of these two giants of Bay Area clay, focusing on their explorations of the cultural exchange between China and the West. American light artist Phillip K. Smith III, noted for large-scale installations, will install three Portals in the Museum. 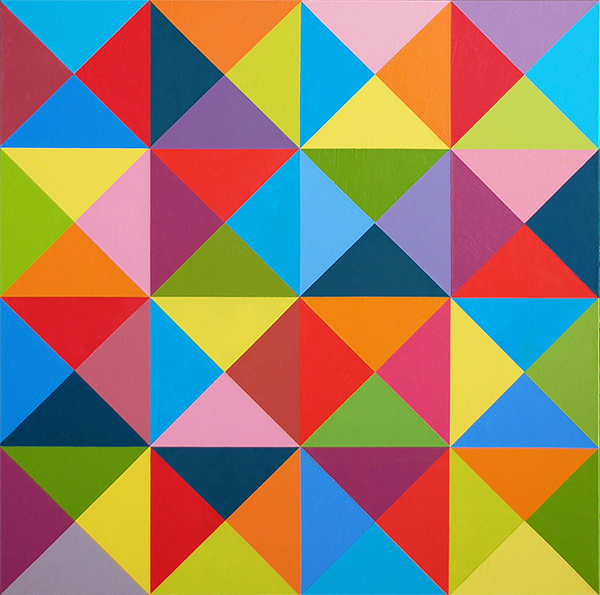 Each artwork investigates the relationship between light, form, surface, and perception. *** Opening reception Monday, January 7, from 5 to 7 p.m.
*** Opening Reception Thursday, November 1, from 5:30 to 7:30 p.m. 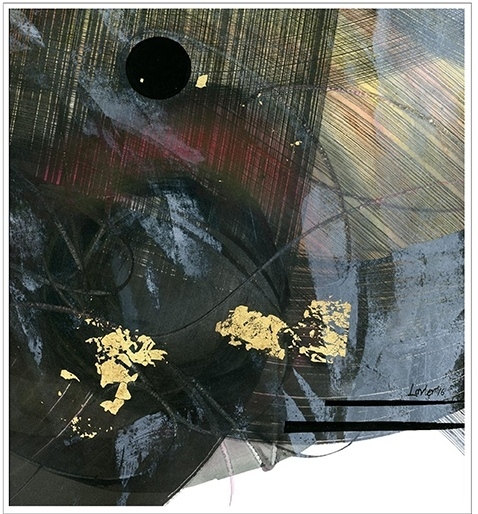 Featured Artist, Donna Broder, creates abstract art in different mediums, particularly printmaking with monotypes and wood cuts. Also showing are works by AGS members. *** Closing Reception with the Artists Friday, November 2, from 5 to 8 p.m.
Two Sonoma County artists explore contemporary issues, including the advancement of technology, the fate of the environment, and the shape of our future world. On view is work by artists, both past and present, responding to social and political issues of importance to them. Some of the works date back to the mid-19th century but remain frighteningly relevant today, and the contemporary artists offer fresh viewpoints on current issues. 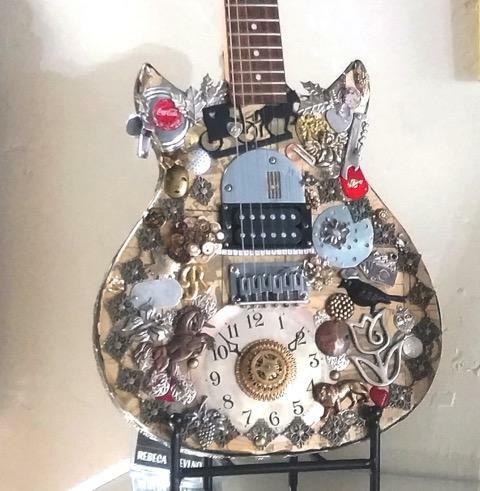 An exhibit of collage and assemblage, whimsical and wondrous art in unexpected combinations to delight, surprise, provoke, and blur the boundaries of the two- and three-dimensional. 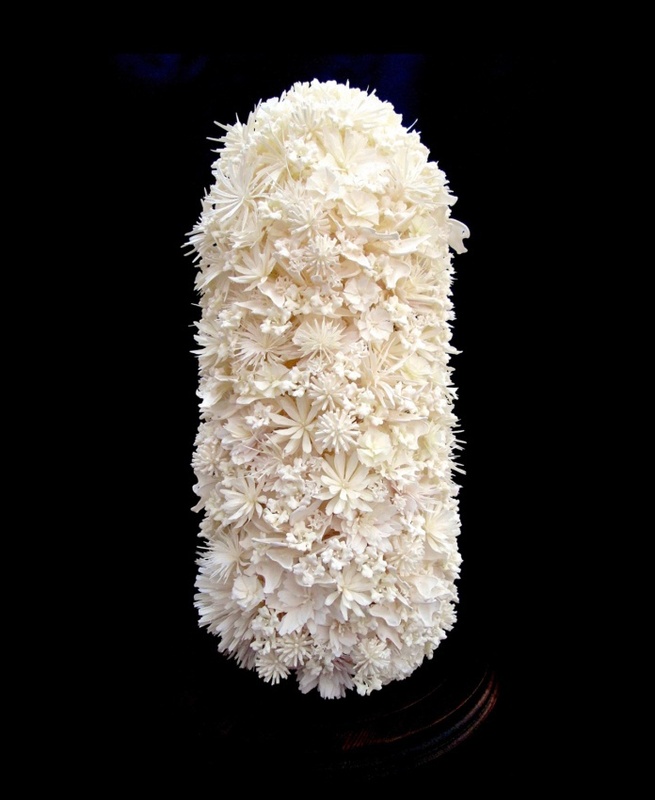 Guest artists for this exhibit are sculptor Caro Pemberton and painter Aldo Longo. Resident artists include Laura Paine Carr, Pamela Heck, Terry Holleman, Paul Maurer and Hanya Popova Parker. 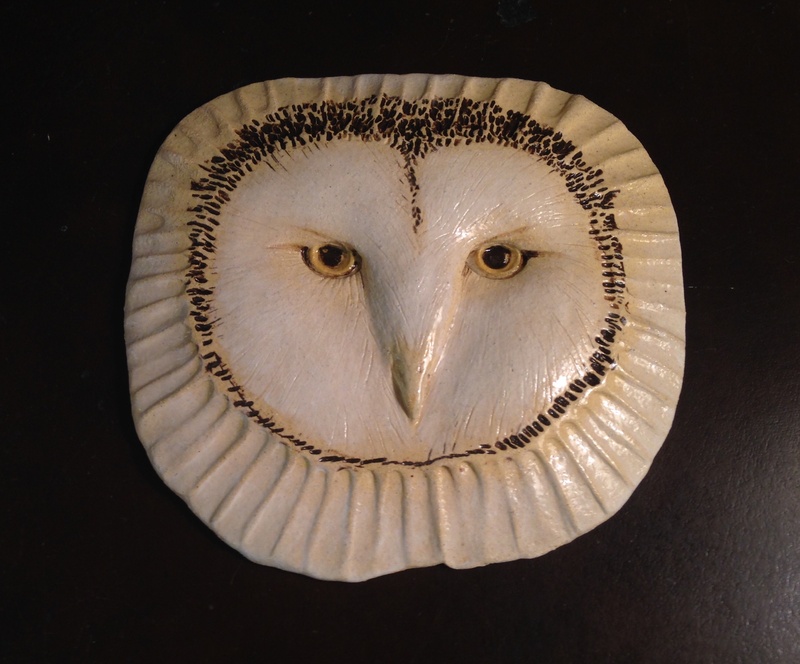 Ceramicist Jane Gardner is the featured resident artist. *** First Friday Meet the Artists reception, November 2, from 5 to 7 p.m. 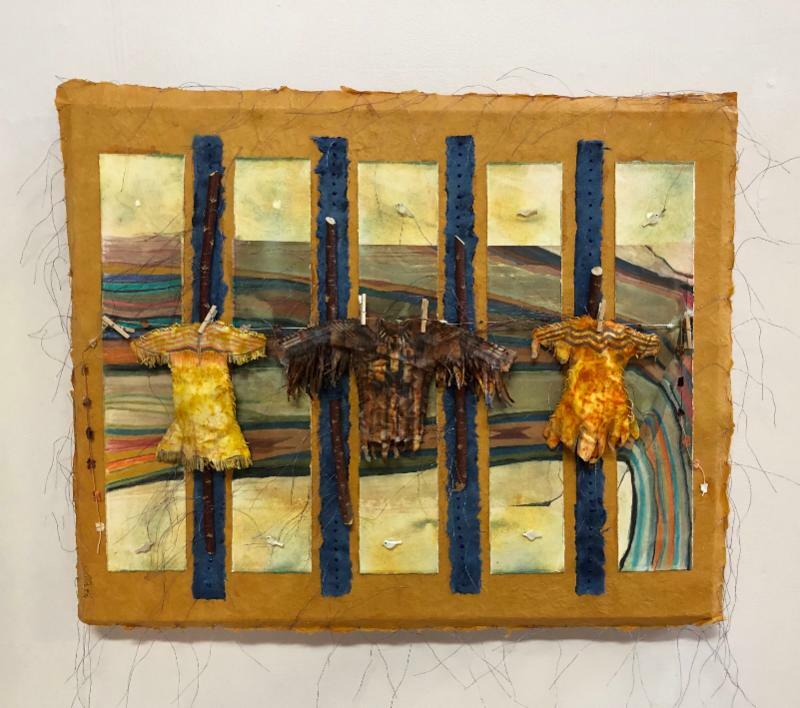 The exhibit features ten different Sonoma County artists, representing diverse combinations of materials and textures using collage, assemblage and mixed media. *** Open Studio Event on Friday November 16, from 5 to 8 p.m.
Side by Side features artists Lynn Bell and Linda Guzzetta. *** Artists Reception Saturday, November 3, from 2 to 5 p.m. 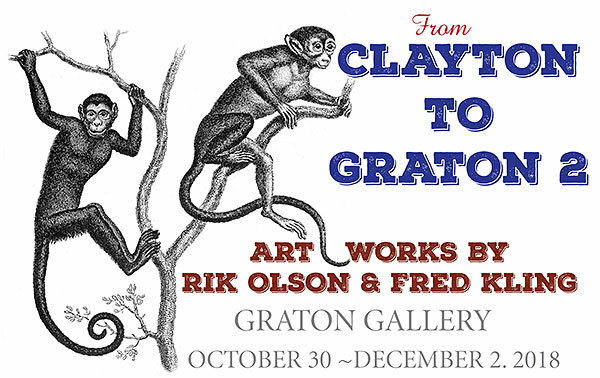 Featuring Rik Olson and Fred Kling, two friends from the first grade showing their Artwork together. Guest Artists include Janet Doto, Don Kuhn, Laura Mueller, and Francesca Scalpi. 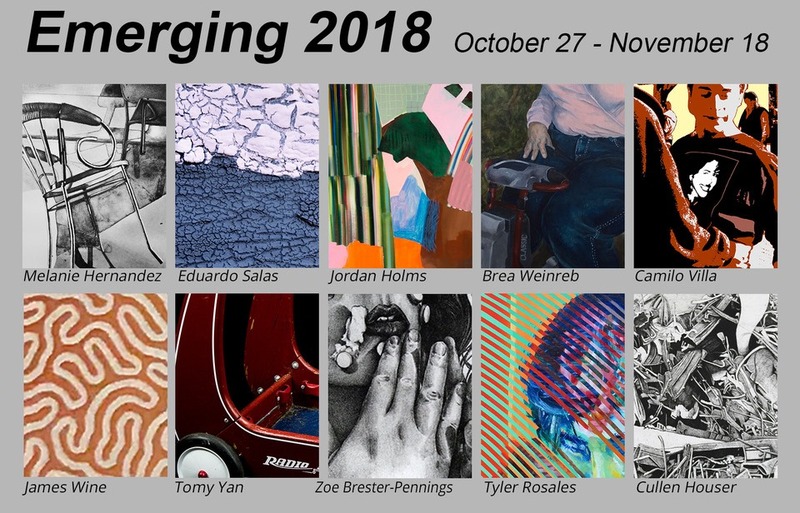 The Fifth Annual Emerging Artists Exhibition features artists ranging in age from 18-30 years old, either living in or have studied in Sonoma County, California or the greater Bay Area. *** Opening Reception Friday, November 16, from 5 to 7 p.m.
General admission applies; members free. 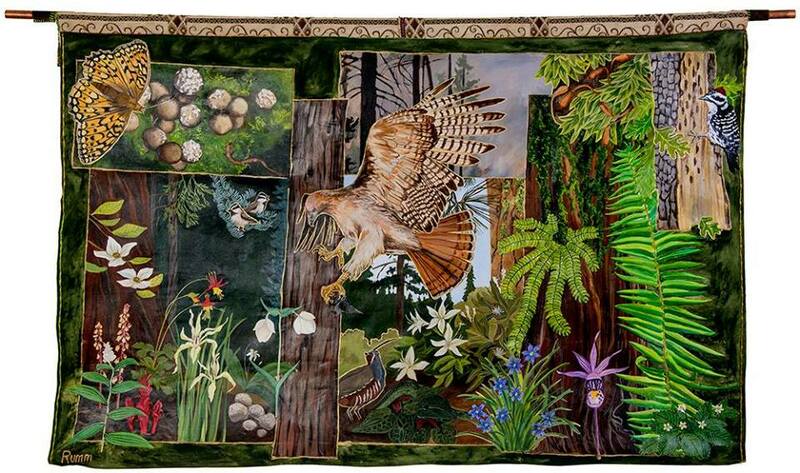 An exhibition of work by Sonoma County artists, juried by Jennifer Mazzucco. 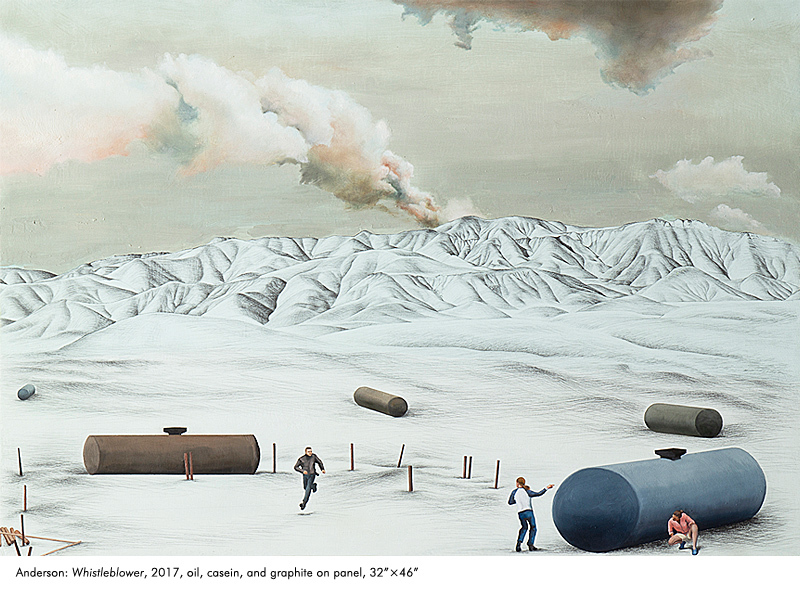 Lawrence Gipe’s work addresses themes of power, propaganda, with the goal of analyzing semiotics and codes of meaning in authoritarian visual culture. Gipe’s work encompasses painting, drawing, video, collaborative installations and curatorial projects. While the post-fire rebuilding takes place the three-acre sculpture garden, which includes the two-story-tall LOVE sculpture, has reopened to the public. This exhibition of work by artists affected by the fires is a celebration of the revitalizing power of art. 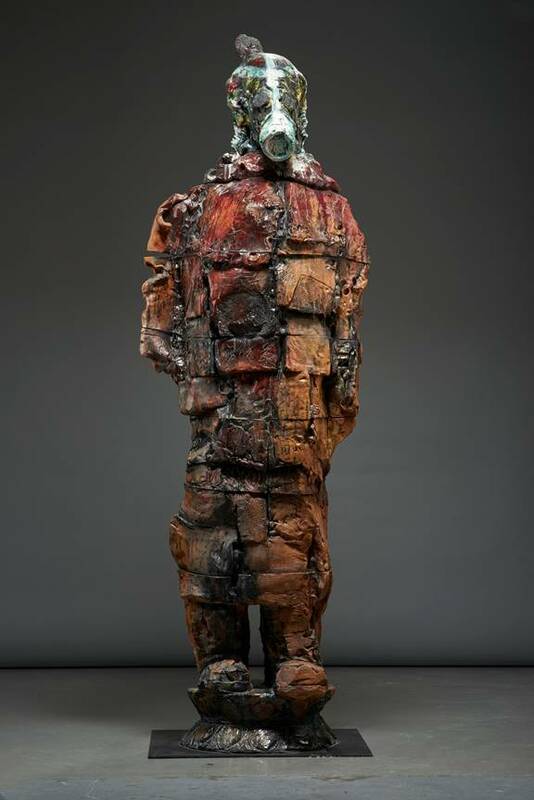 Works were created specifically as a response to the fires, including some art that integrates rescued and reclaimed fire artifacts. These fascinating pieces demonstrate the capacity of art to bring forth the resiliency of the human spirit in the face of catastrophe. *** Saturday and Sunday, November 10 and 11, from 12 to 4 p.m. each day. The Last Pie Eyed Show for 2018 features recent paintings from long-time artist friends, Lauri Luck and Ronnie Sampson. Both artists share an affinity for the overlooked and imperfect as Luck focuses on stray dogs and Sampson on throwaway chairs bringing unexplained and introspective narratives to life. Join us for exciting art, scintillating conversation and lots of fresh yummy pies! Look for the ART + PIE sign and turn at the Giant Yellow Duck! 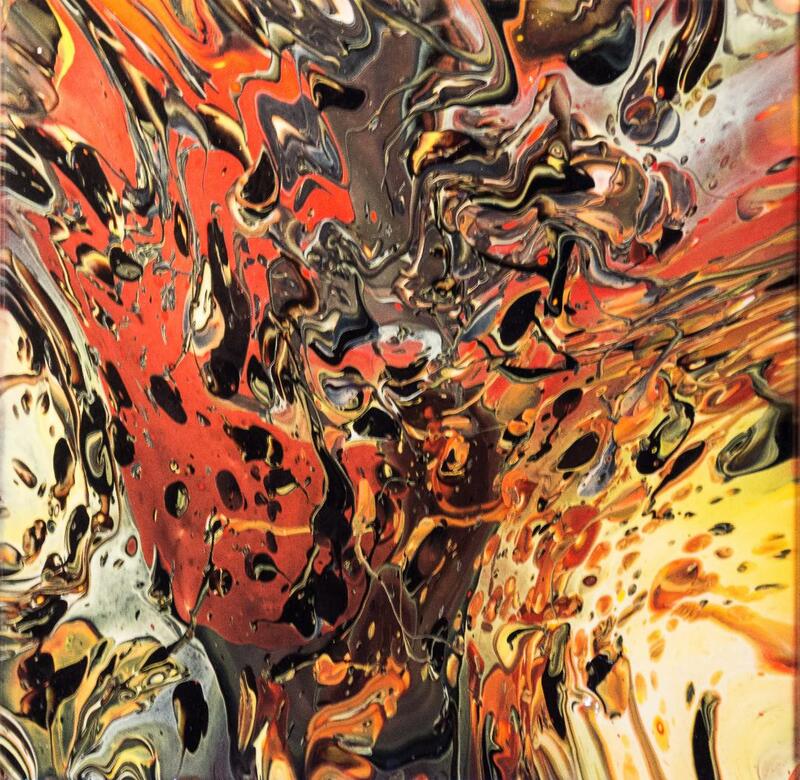 *** Reception and Artwalk Saturday, November 10, from 5 to 8 p.m.
Lost in Creation, paintings by Dan Kabanuck and Billy Korbus; whose skills with pouring paint allow them to create dynamic, stunning visually-textured works. 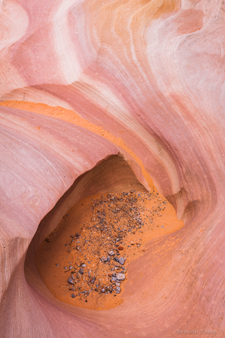 Also showing, Recent Photographs by Lance Kuehne. An exhibition of rarely-seen exquisite fine art selected from private collections paired with new poetry inspired by these artworks. 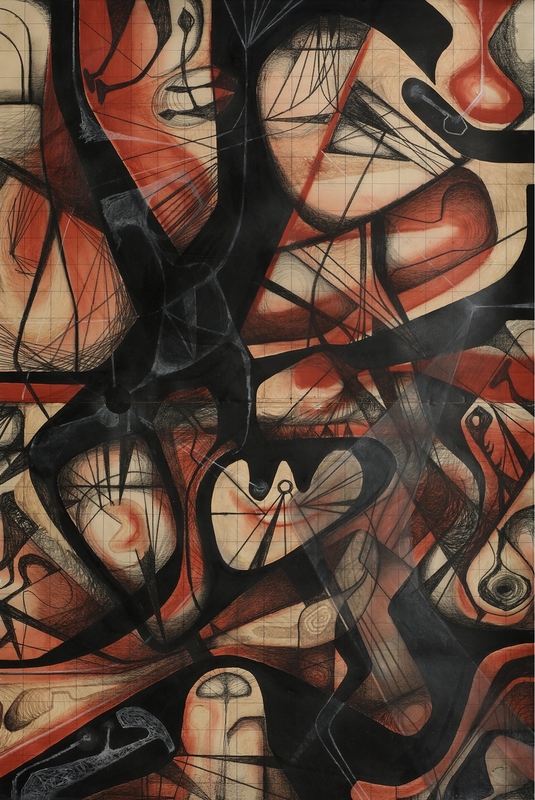 Included are works by Pablo Picasso, Julie Mehretu, Francis Bacon, and Käthe Kollwitz, to name a few. See website for list of related events and programs. 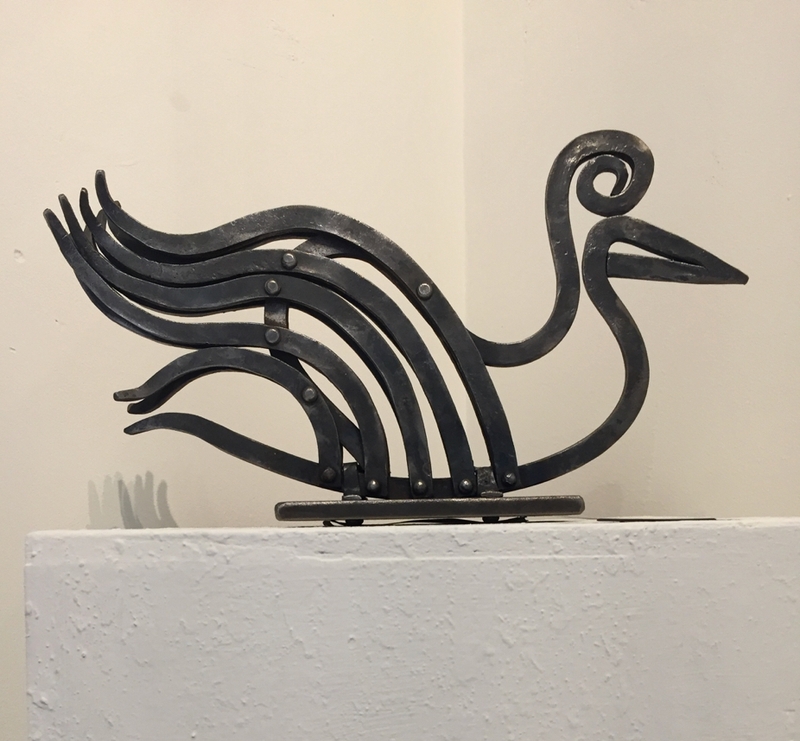 A retrospective exhibition by California artist Genevieve Willson Barnhart featuring bronze sculpture, jewelry, and black and white photography. 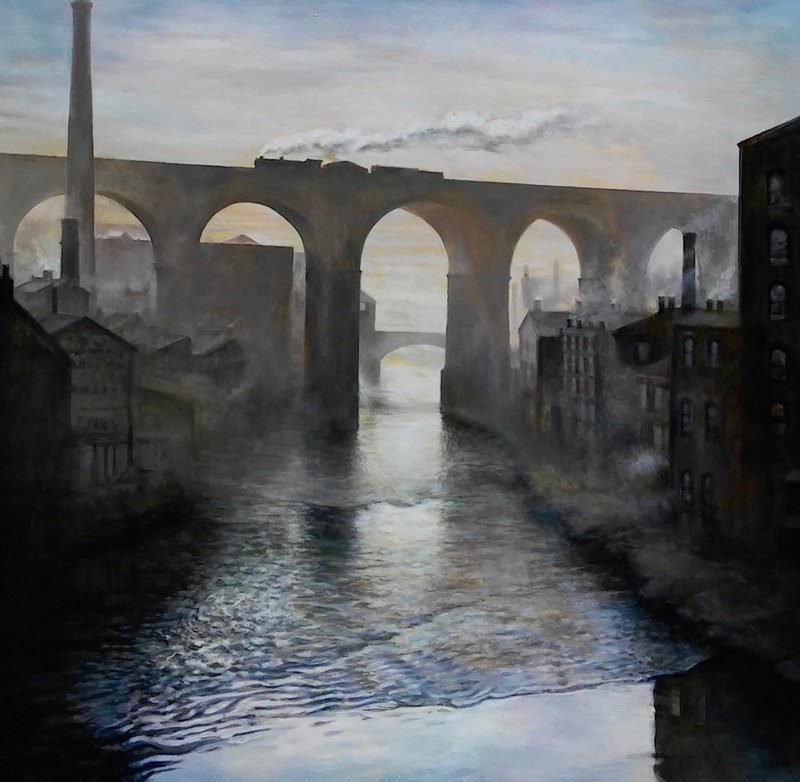 This show charts an artistic career spanning more than 80 years. 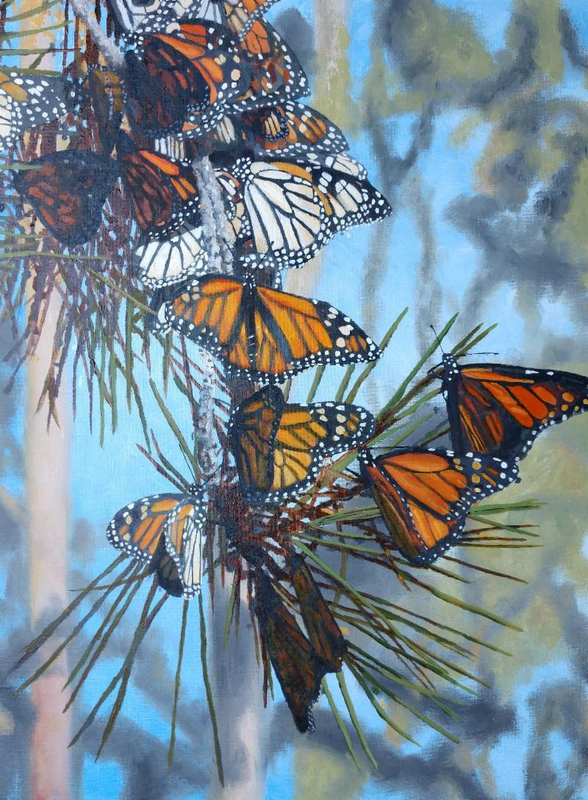 *** Opening reception, Thursday, November 8, from 4 to 7 p.m.
*** Opening reception Monday, November 5, from 5 to 7 p.m.
Poetry reading and talk by the artist at 6 p.m.
*** Artist reception Saturday, November 3, from 3 to 6 p.m.
Donna Schaffer paints butterflies she entices to her garden by planting Zinnias, Salvia, Cosmos, Black-eyed Susans, and Milkweed. 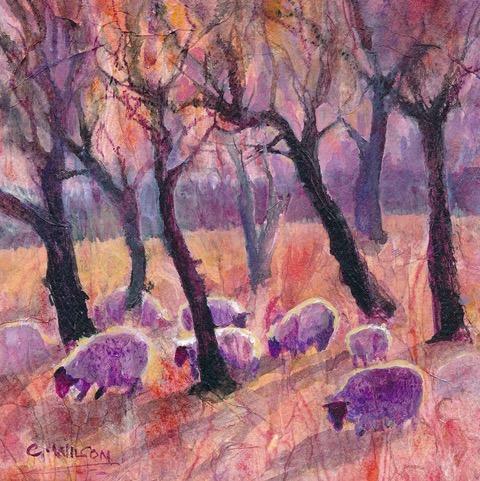 Ron Sumner’s poetic watercolor paintings of old barns, birds, landscapes, and water are featured in the Small Works Showcase. 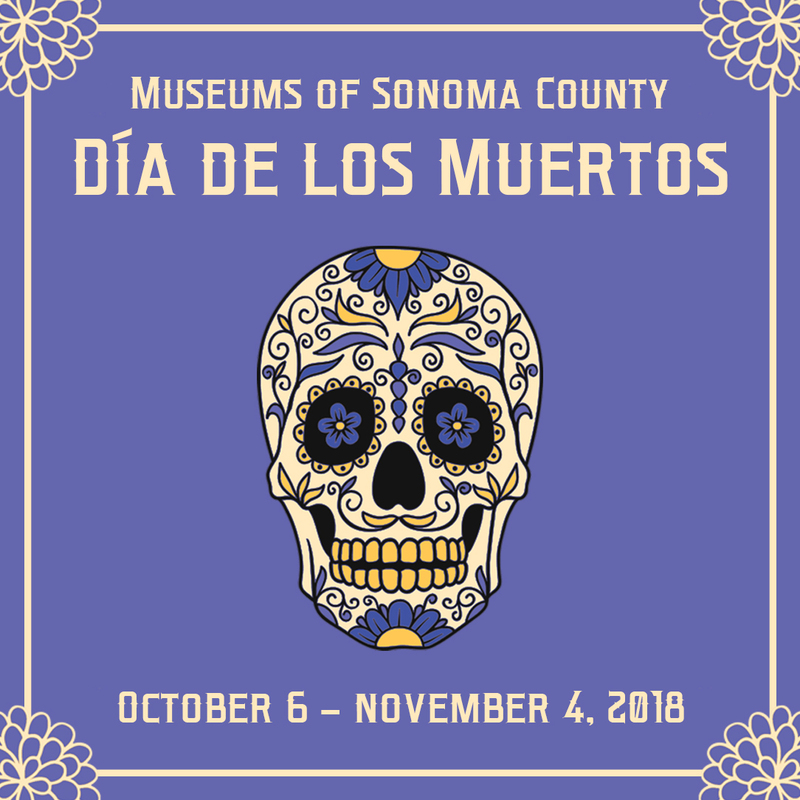 ♦ Indicates exhibitions which specifically commemorate the anniversary of the firestorm that devastated large areas of Sonoma County and the North Bay in October 2017. 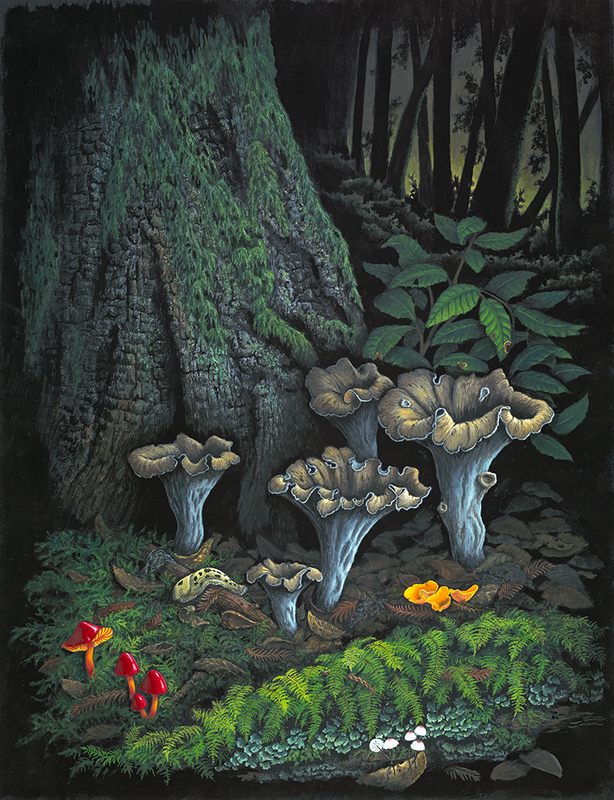 *** Opening Reception Friday, October 5 from 5 to 7 p.m.
Also showing are works by AGS members. 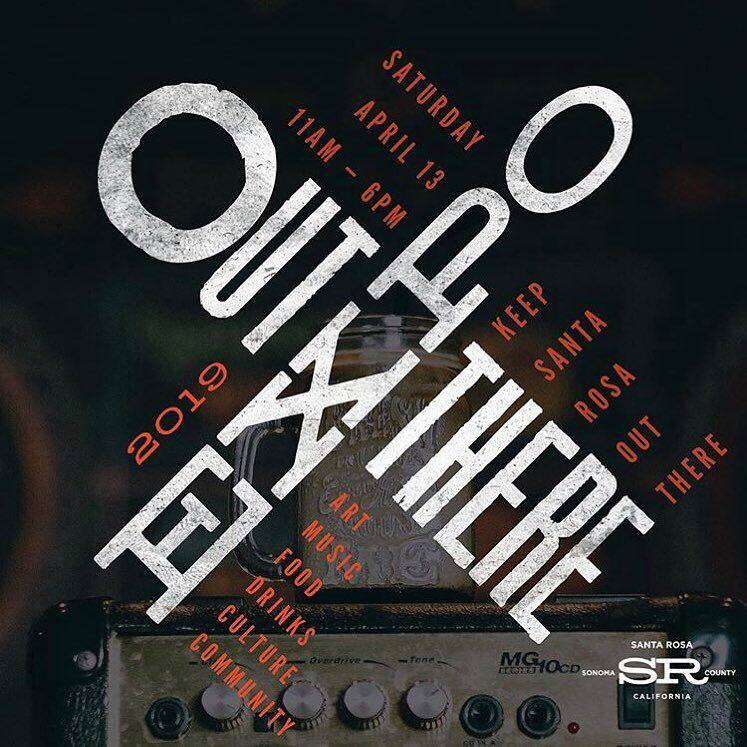 *** Opening Reception Friday, October 5 from 5 to 8 p.m.
Born and raised in Colima, Mexico, Salazar has been widely exhibited throughout the United States and Mexico and now maintains a studio in Santa Rosa, California. *** Opening Reception Saturday, October 13 from 4 to 8 p.m.
*** Reception Friday, October 5 from 5 to 8 p.m.
*** First Friday Meet the Artists reception, October 5, from 5 to 7 p.m.
Corrick’s and My Daughter the Framer once again begin the Sonoma County Art Trails season by featuring the work of over 70 local artists at the 2018 Art Trails Preview Show! 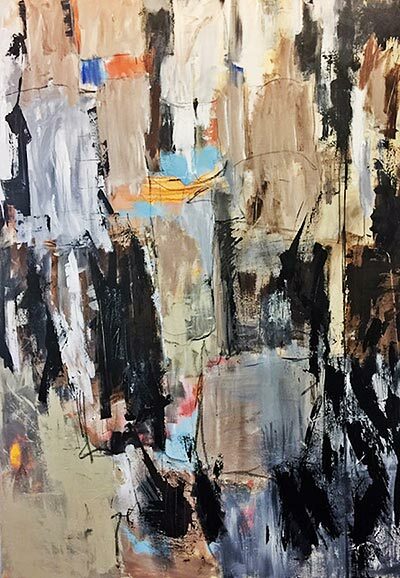 *** Artist Reception Friday, October 19, from 5 to 8 p.m.
On view are paintings by Lucy Liew inspired by nature’s signs of recovery from last October’s wildfires. Featuring Bruce Hopkins and Susan Shore; Guest Artists: Judy Bianchi, Katie Kruzic, Cathy Locke and Phil Wright. Jurors; Chris Blum, Janet Howell, and Vesna Breznikar. In this exhibit the human figure is portrayed realistically, abstractly or symbolically. The narrative possibilities are vast and universal as forty-two artists present their “Figure Study”. Spirits Rising is a celebration of our collective healing and positive spirits after the 2017 Firestorm. Thirty artists will be showing work in fiber, glass, jewelry, painting, photography, sculpture, ceramics, mixed media, wood, and metal. *** Opening reception Saturday, October 6 from 3 to 6 p.m. This annual exhibition features altars and artwork designed and created by Peter Perez, Mario Uribe, Rubén Guzmán, and Martín Zúñiga, and features curated items from Liz Camino-Byers’ collection of Mexican folk art. 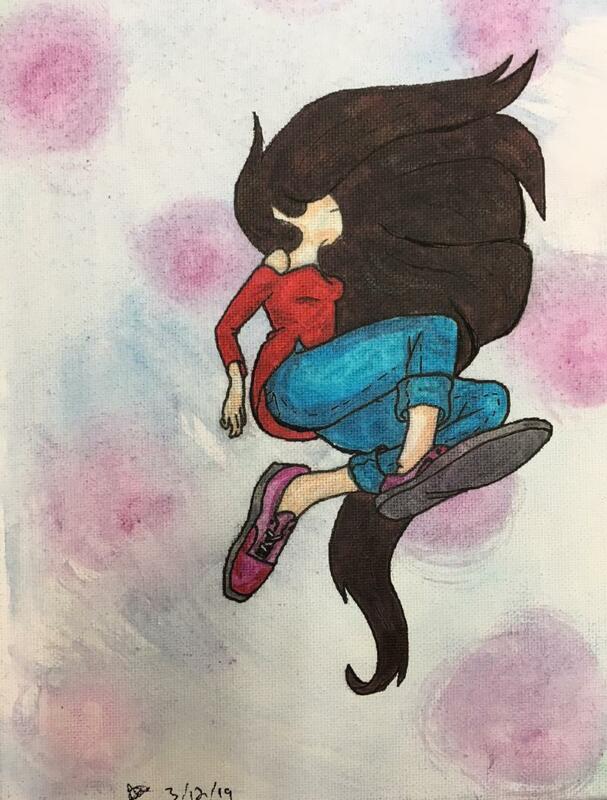 The exhibition also includes works by students who participate in the Memory Portrait Competition, and murals painted by students from ArtStart, Community Action Partnership, and museum volunteers from the Youth+Art summer program. 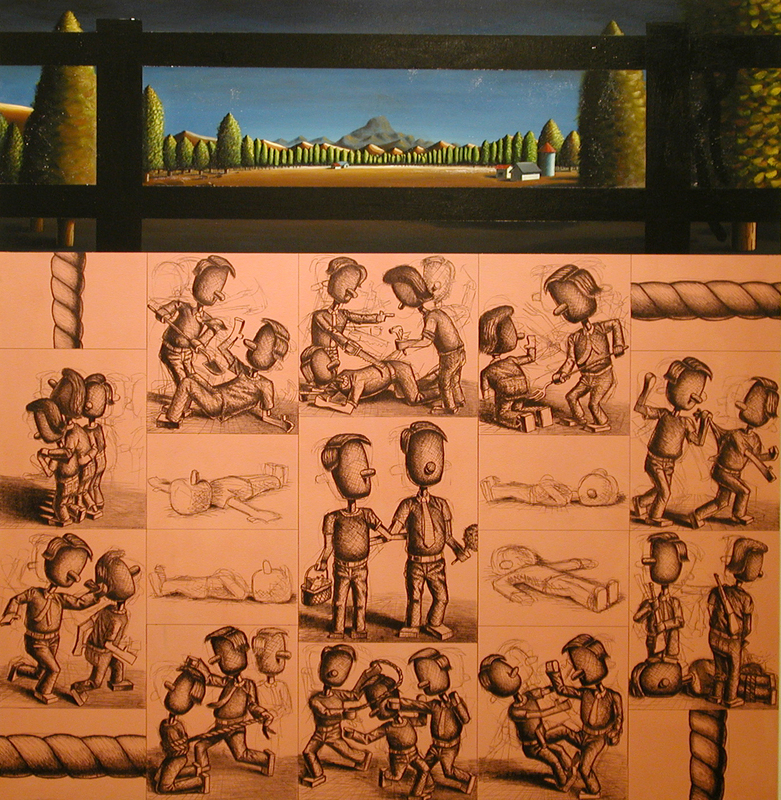 *** Opening reception Saturday, October 6 from 4 to 7 p.m.
New and selected paintings by Lawrence Gipe. Cage/Kafes, new outdoor sculpture by Mike Berg. 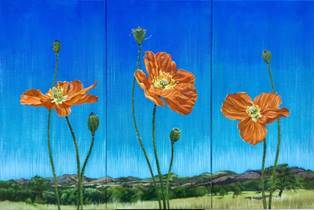 Art Trails Preview with over 30 works from Sonoma County Artists. During the devastating Tubbs Fire the winery buildings were destroyed, but the vineyards and most of the sculptures remain unharmed. While rebuilding takes place the three-acre sculpture garden, which includes the two-story-tall LOVE sculpture, has reopened to the public, and Marijke’s Grove sculpture garden will be open on weekends from 11 a.m. to 4 p.m. through October 28. 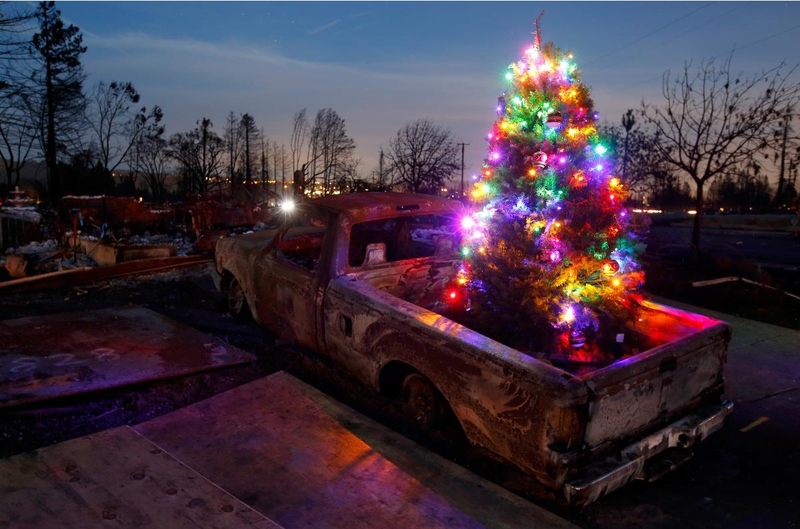 This exhibition of work by artists affected by the fires is a celebration of the revitalizing power of art. 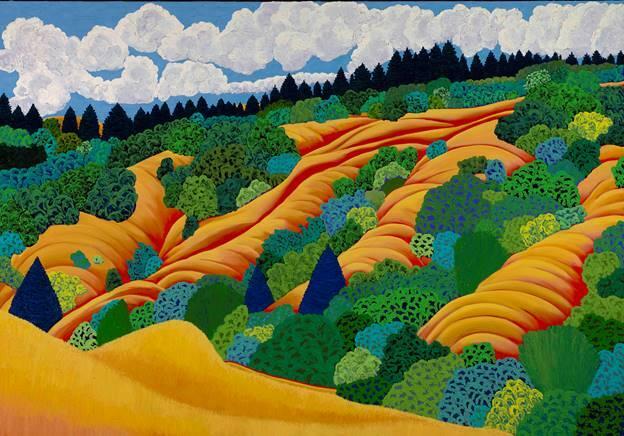 Artists from both Napa and Sonoma counties are featured. Works were created specifically as a response to the fires, including some art that integrates rescued and reclaimed fire artifacts. These fascinating pieces demonstrate the capacity of art to bring forth the resiliency of the human spirit in the face of catastrophe. *** Art Walk Saturday, October 13, from 5 to 8 p.m.
Presenting the work of seven featured artists in a variety of media. *** Artist Reception Wednesday, October 3 from 4 to 6 p.m. 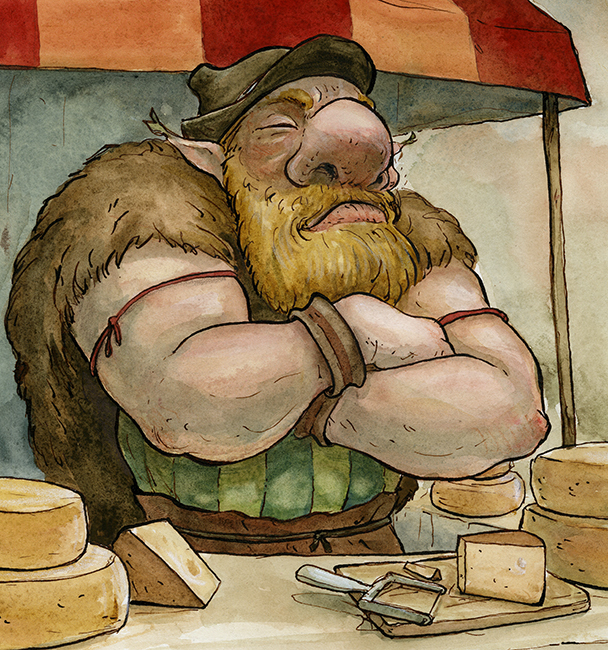 This show includes a collection of story fragments based on themes from folktales and traditional fantasy, and a series of illustrations for a children’s book, Mike Eats the Cheese, by local author Dan Schieberl. 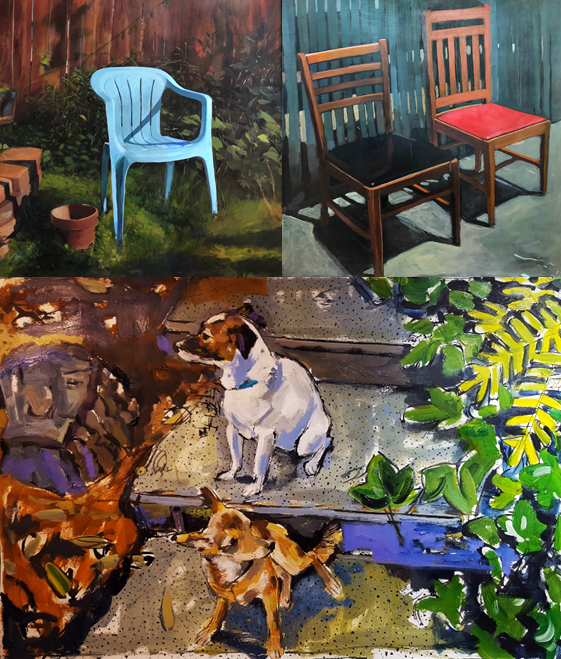 Art Trails is a juried, self-guided open studio event showcasing the art, creative processes and the working environments of 145 professional Sonoma County artists. *** Opening reception, Thursday, October 25, from 6 to 8 p.m.
An exhibition of rarely-seen exquisite fine art selected from private collections paired with new poetry inspired by these artworks. 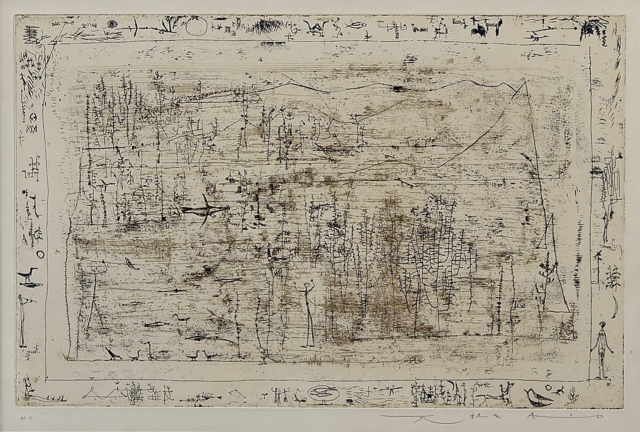 Included are works by Pablo Picasso, Julie Mehretu, Francis Bacon, and Käthe Kollwitz, to name a few. 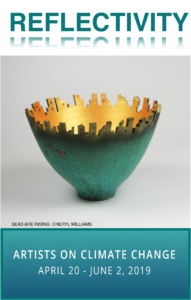 Sebastopol Gallery welcomes new member artists Peter Krohn and Diana Majumdar, and guest artist Clark Mitchell. Napa-based multi-disciplinary artist Stephen Whisler investigates issues related to surveillance, military weaponry, and the frightening power of nuclear bombs. 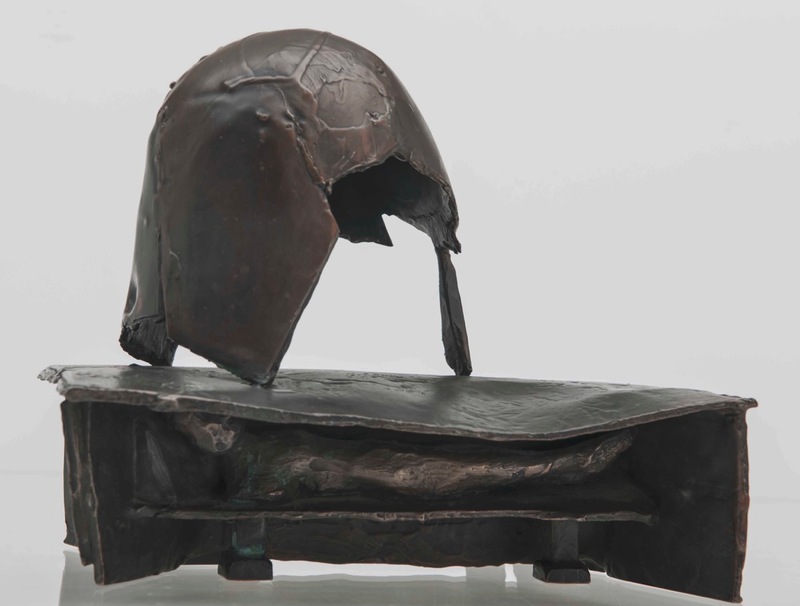 The exhibition features a life-size sculpture of Fat Man—the atomic bomb detonated over Nagasaki, Japan, in 1945—suspended from the Gallery’s ceiling. 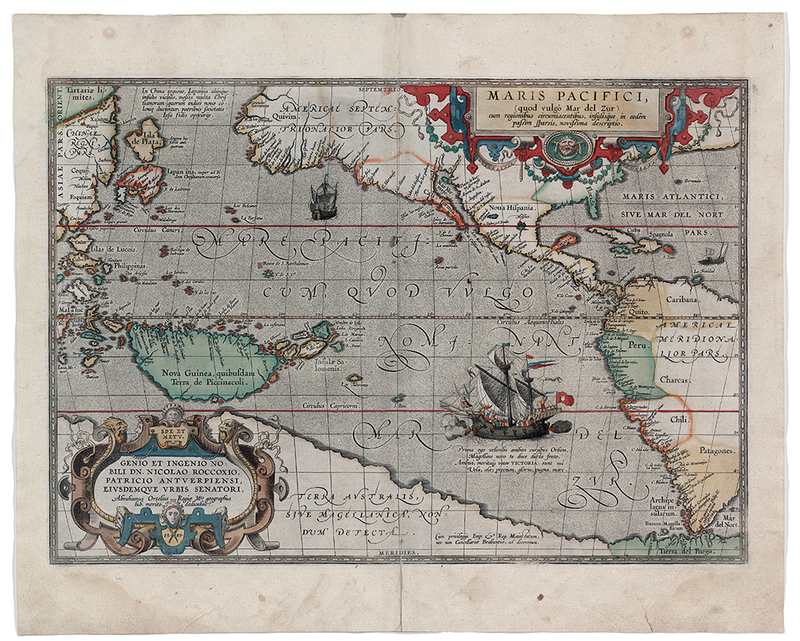 Also on view are numerous woodblock prints and pastel drawings of military drones and rockets. Whisler’s work is a rare combination of aesthetic beauty and the disturbing feelings associated with such sinister objects. *** Reception, Wednesday, October 17, from 4 to 5:30 p.m.
Public art in Sonoma Plaza with works by Gwynn Murrill, Lisa Reinertson, and Alison Saar. Each of these women sculptors play an important role in evolving the canon of California art and in the craft of sculpture. *** Opening reception Monday, October 1, from 5:30 p.m. to 7:30 p.m. 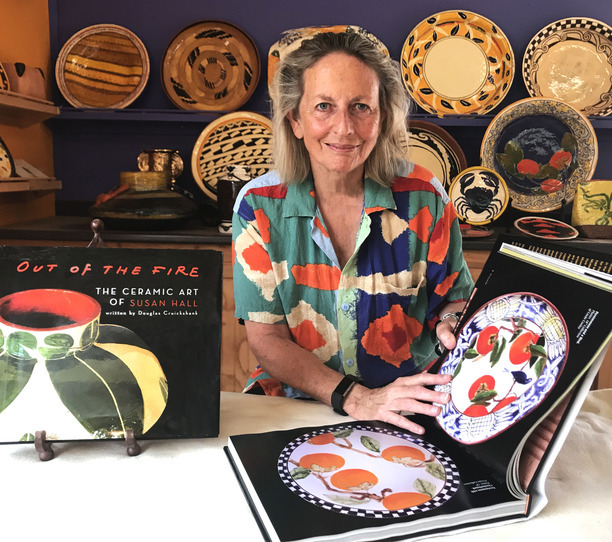 Paintings and mixed media work by Santa Rosa artist Suzanne Edminster, who has an interest in the history of alchemy and salt in particular. Edminster draws on history, a distinctive sense of color, and an intuitive, layered creative process to make art of substance. 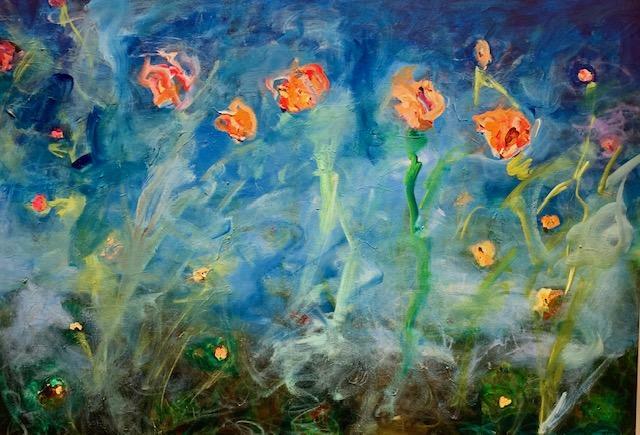 A vibrant palette and dynamic brushwork give her paintings immediate appeal. *** Gallery reception Saturday, October 6, from 1 to 3 p.m.
With a focus on the shades of autumn, on view are paintings from various gallery member artists. 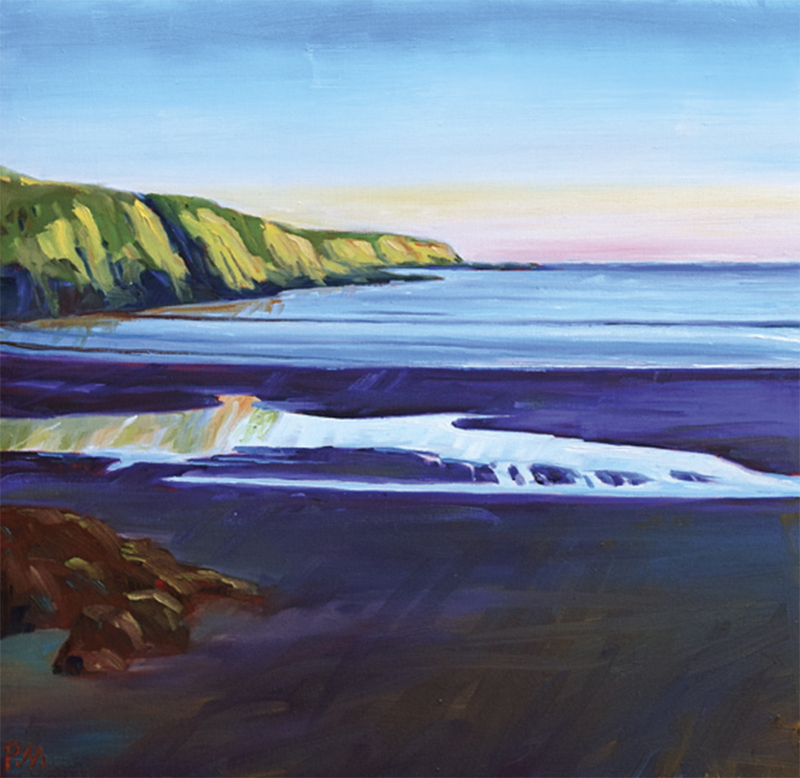 Landscape paintings by Susan Greer are featured upstairs in the gallery.